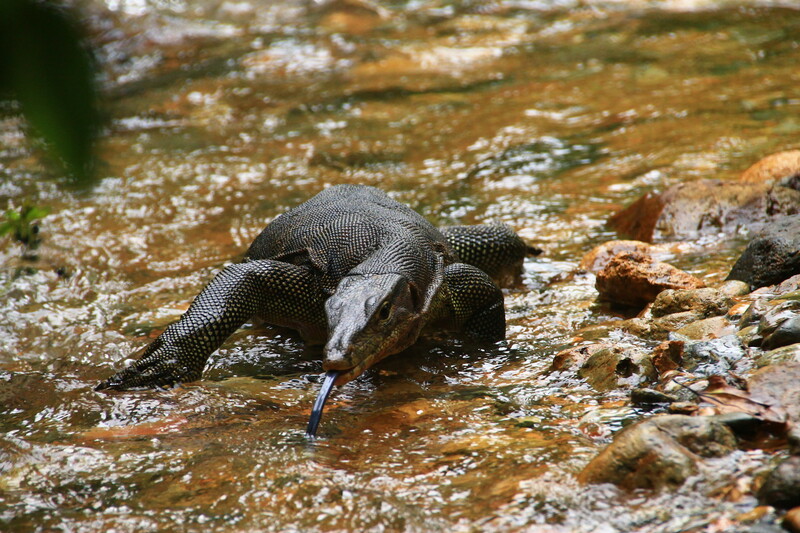 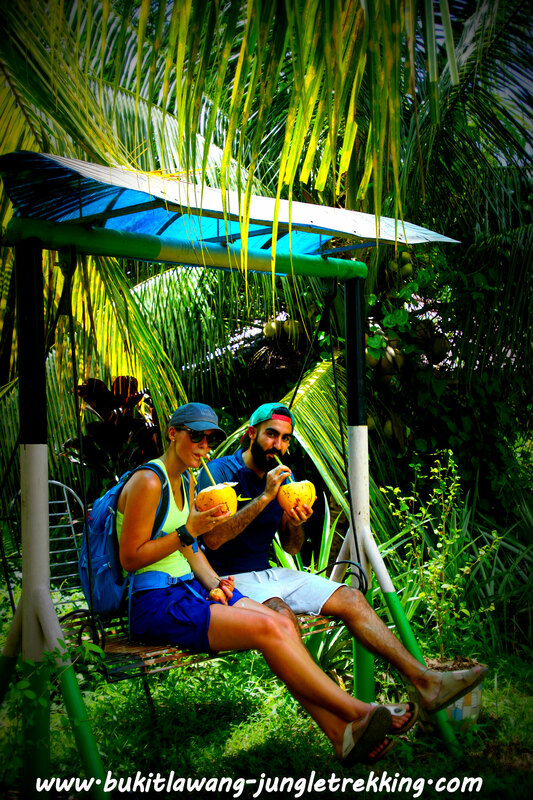 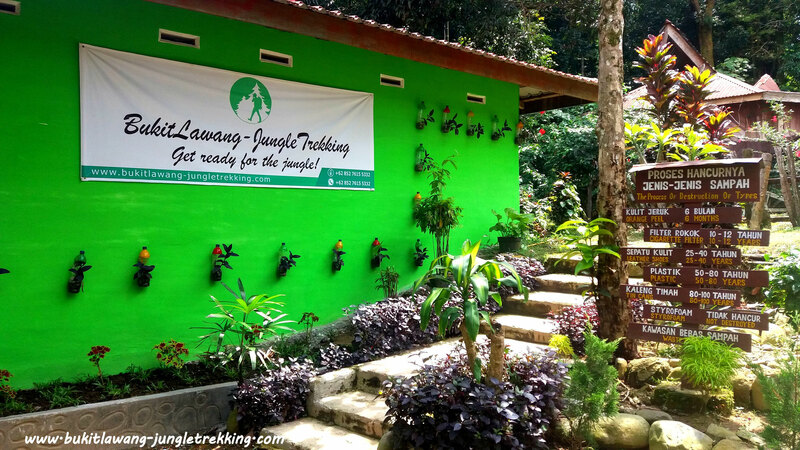 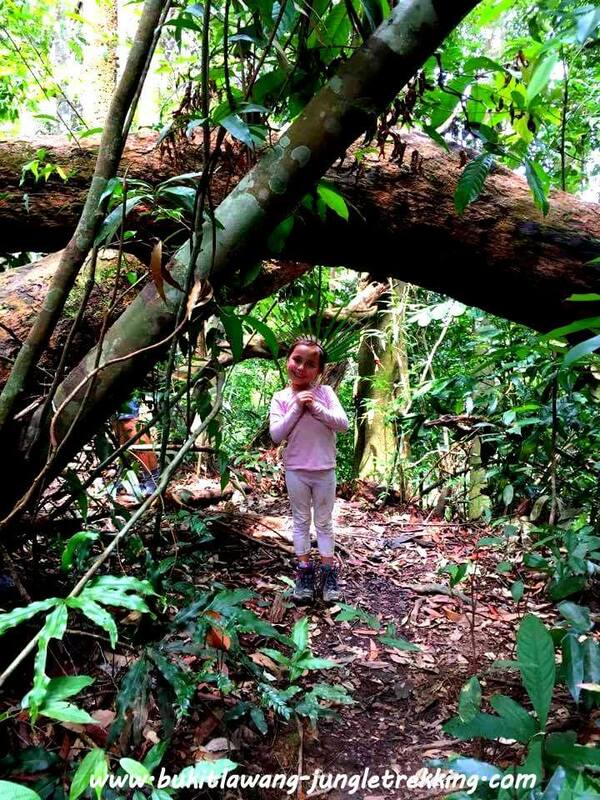 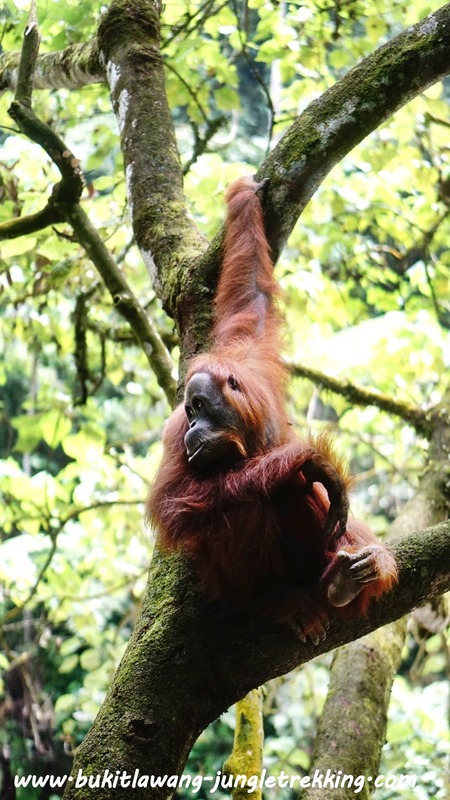 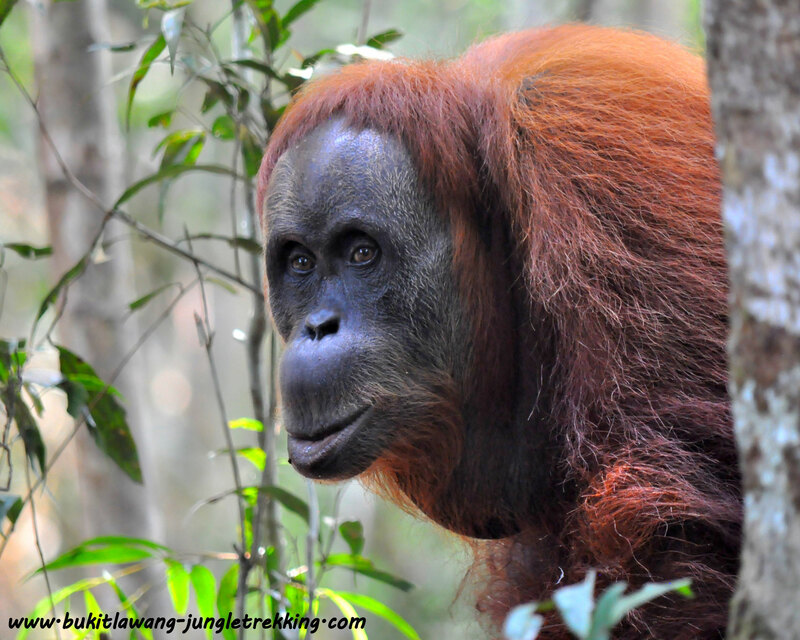 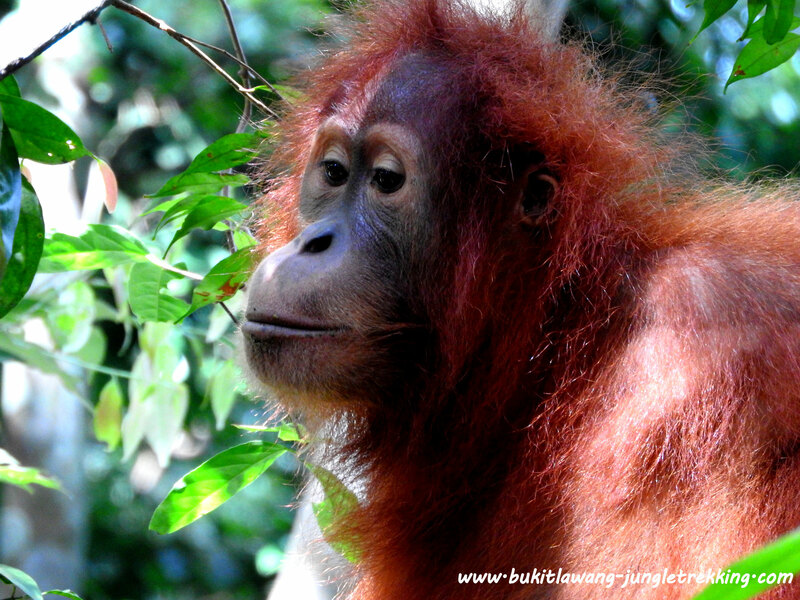 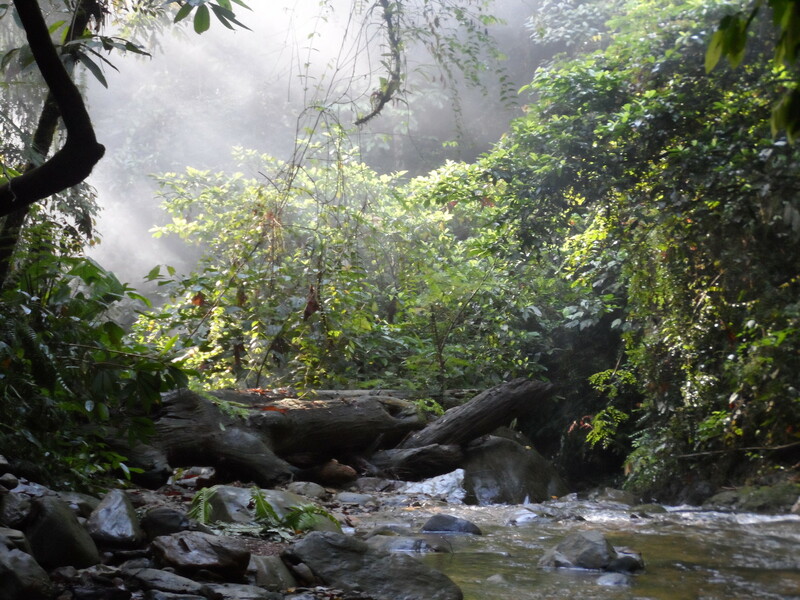 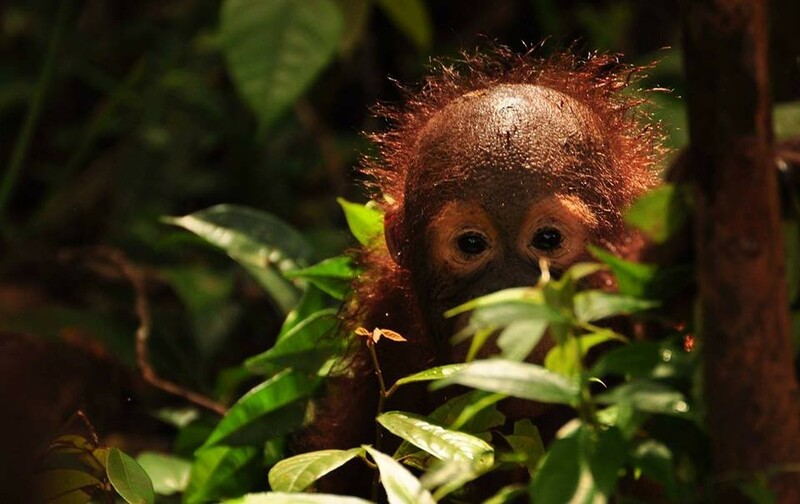 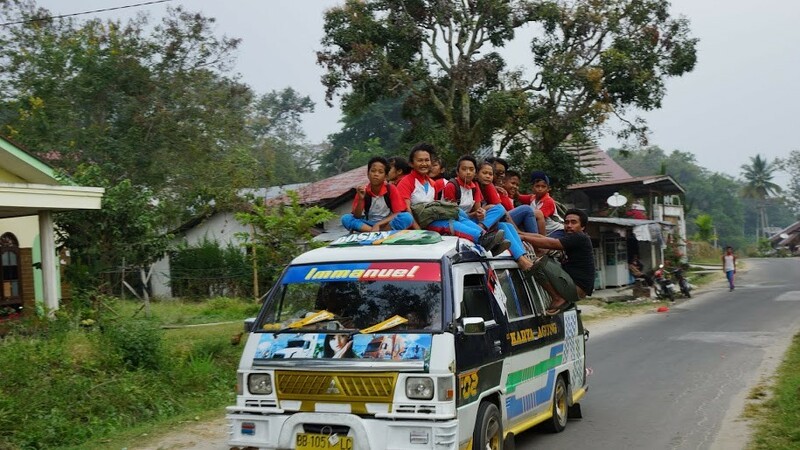 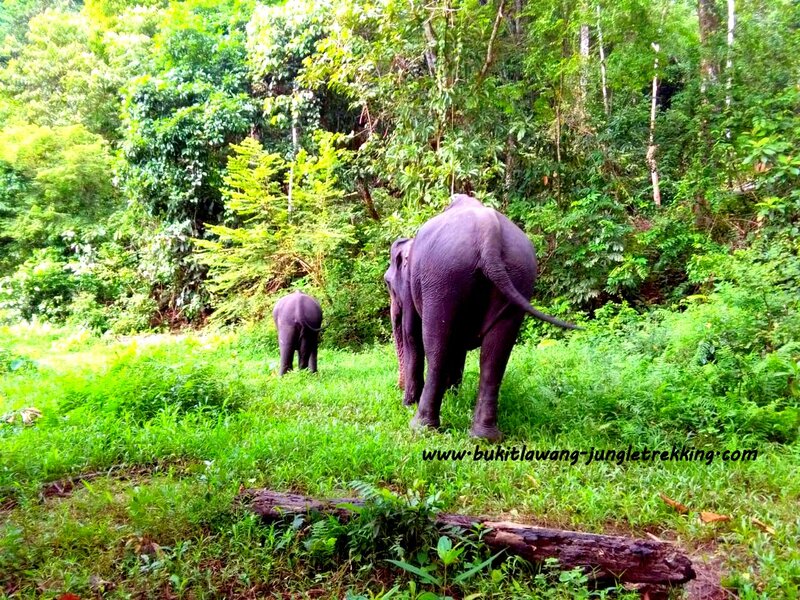 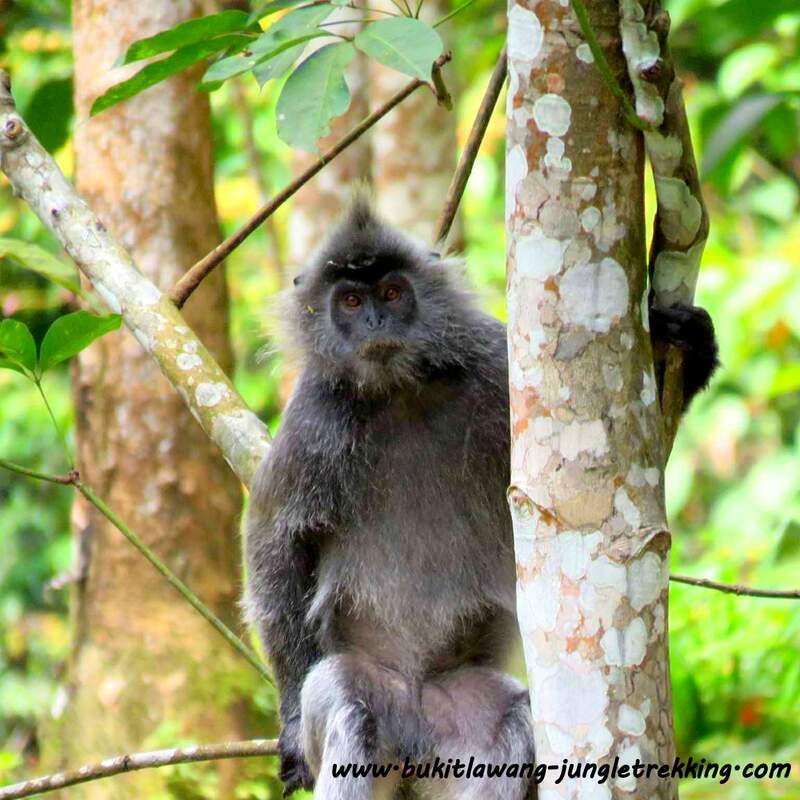 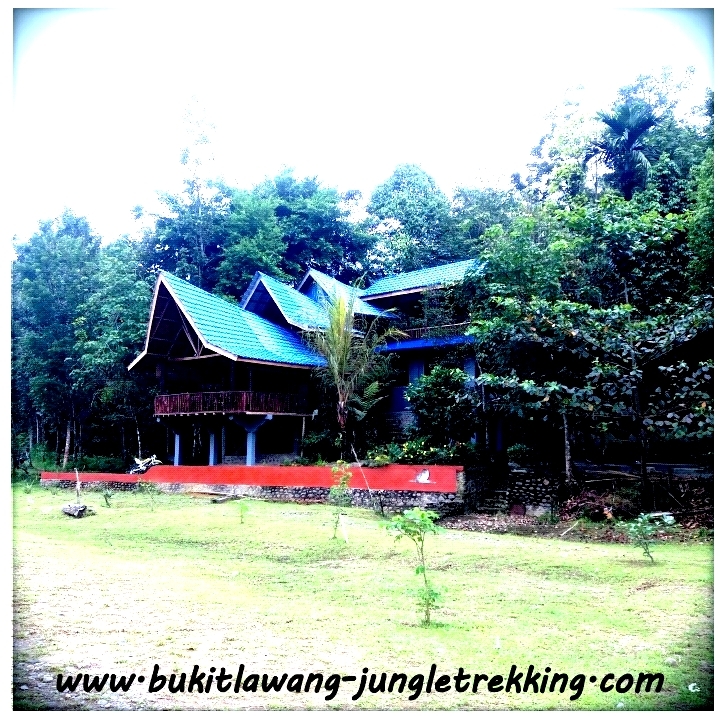 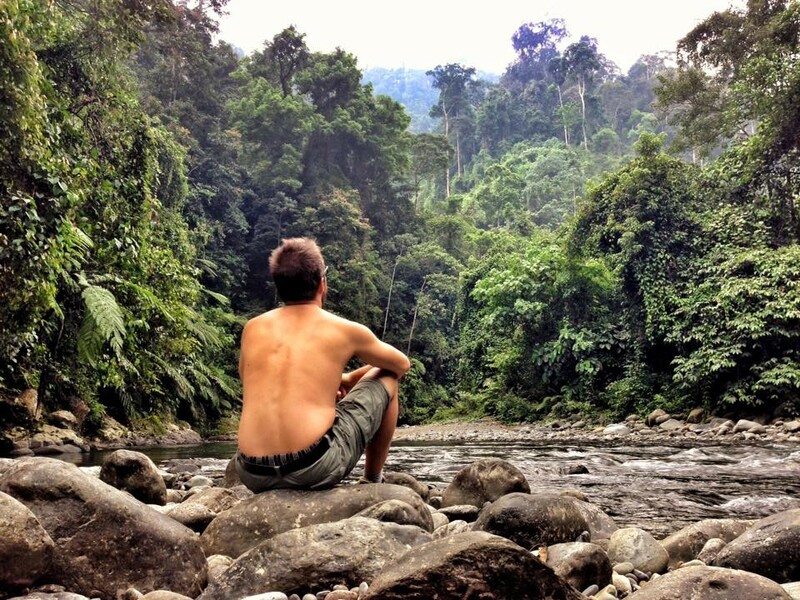 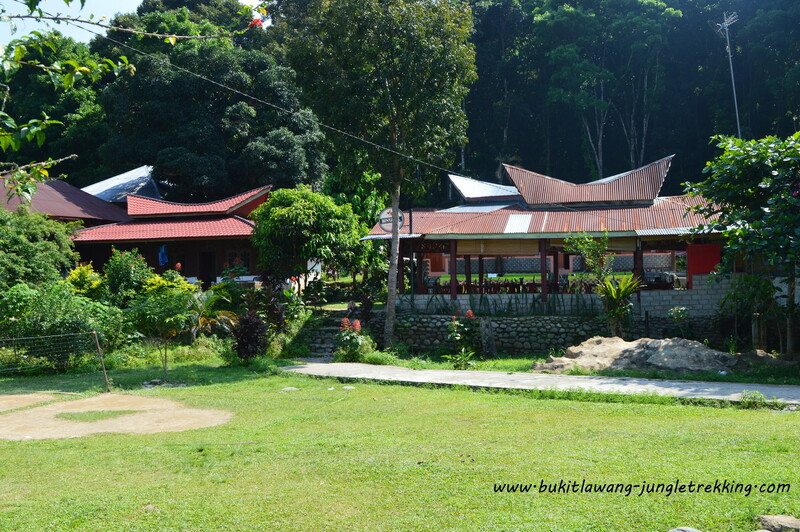 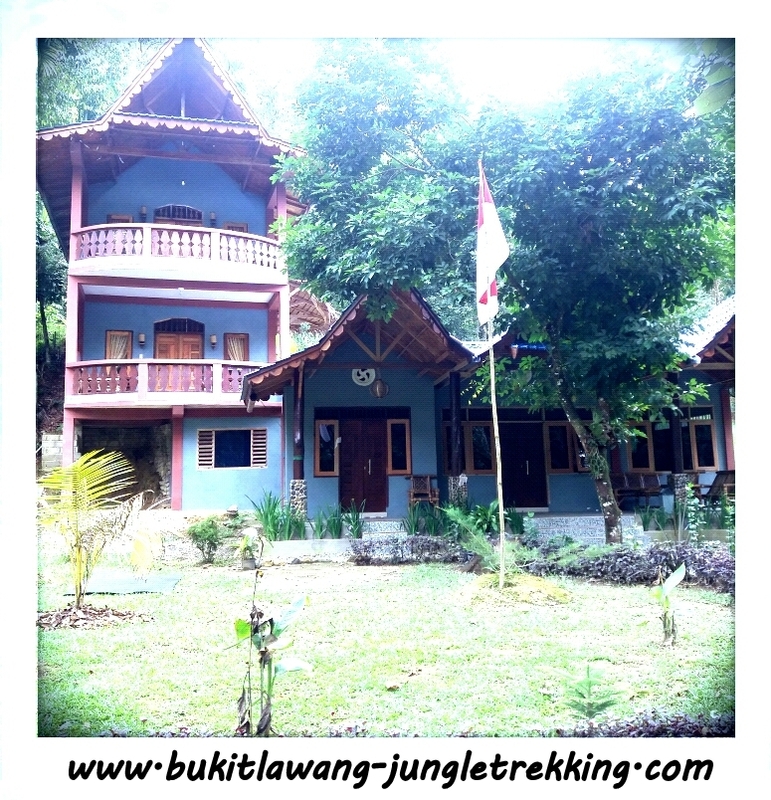 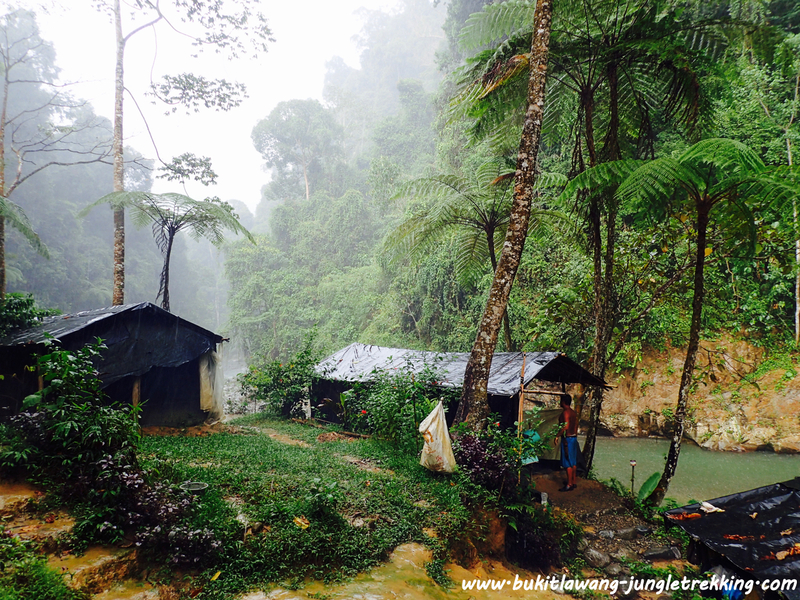 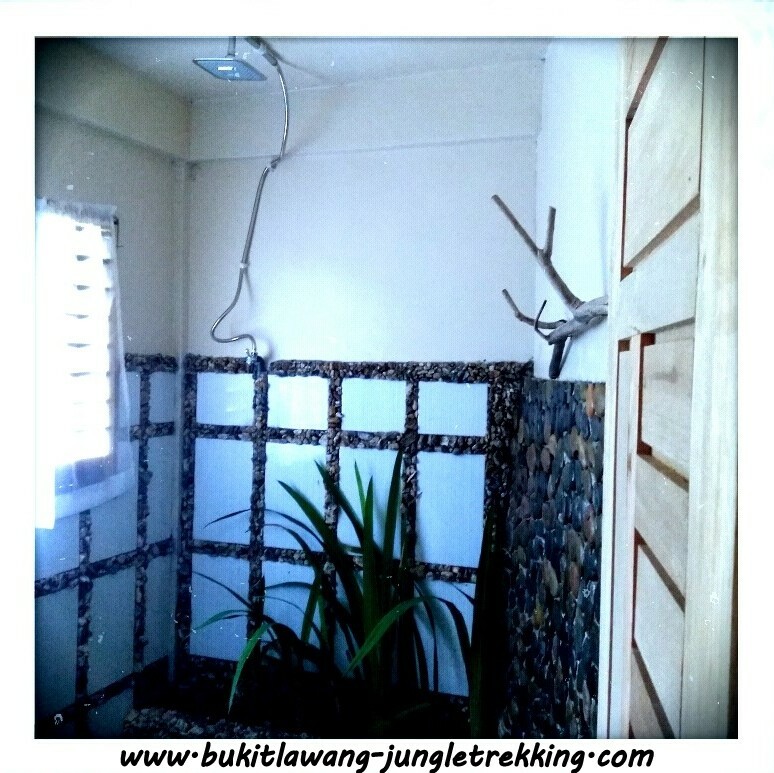 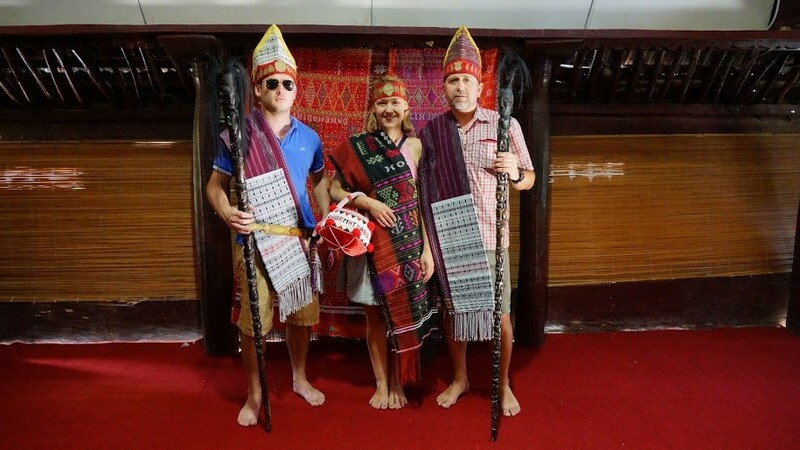 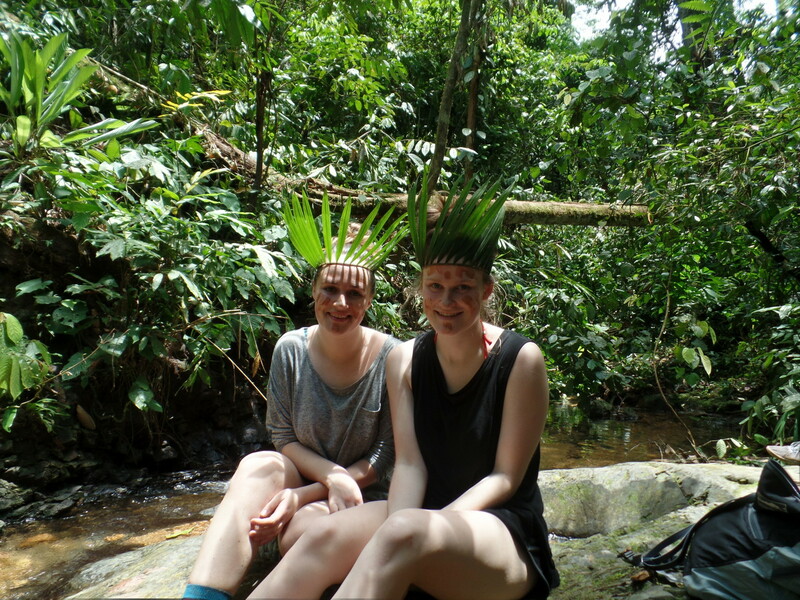 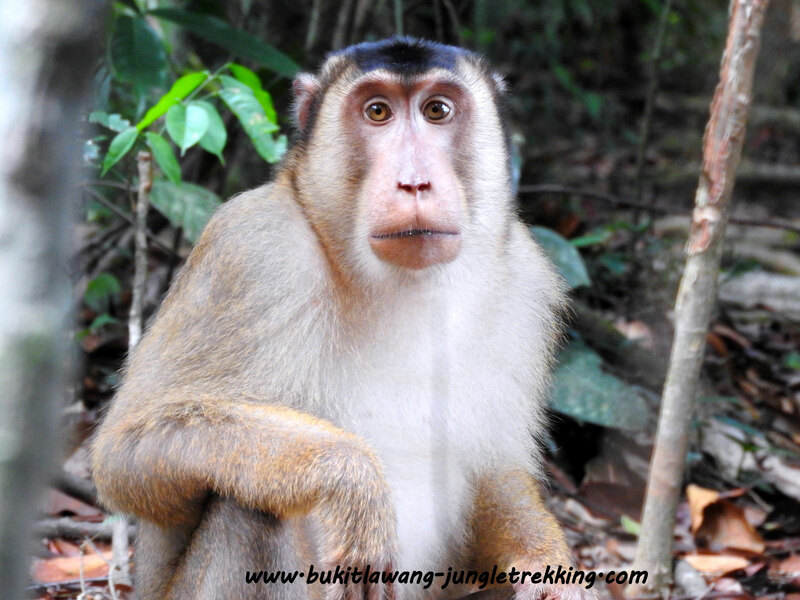 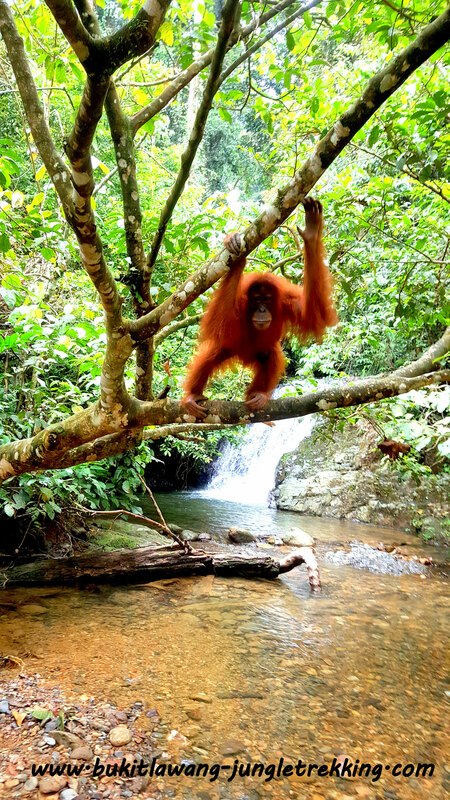 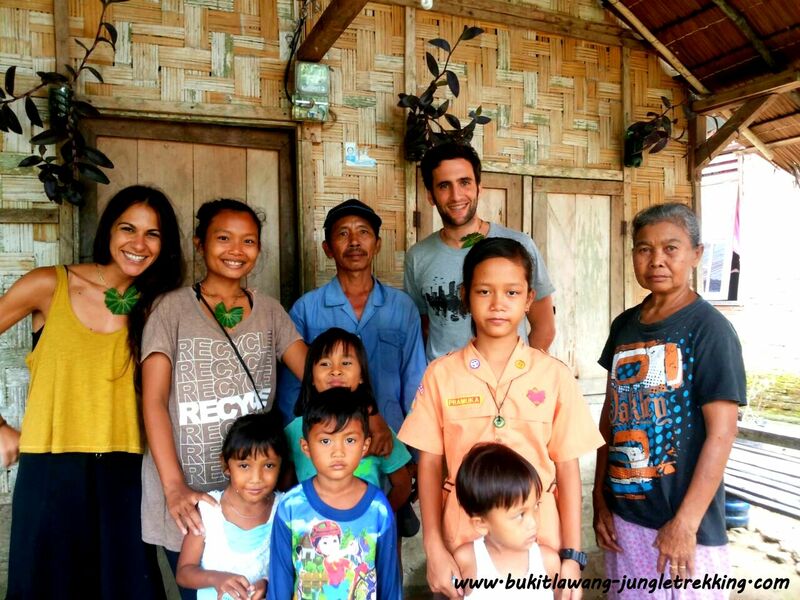 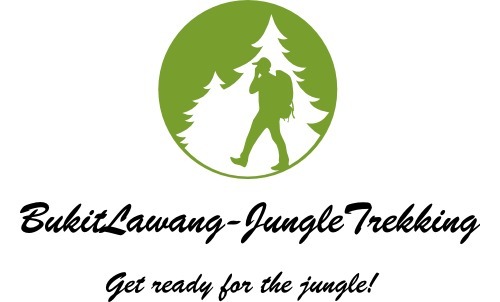 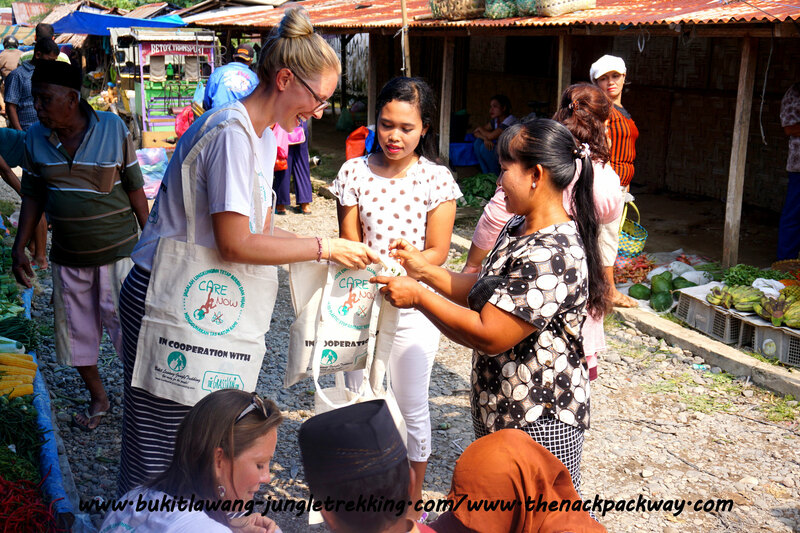 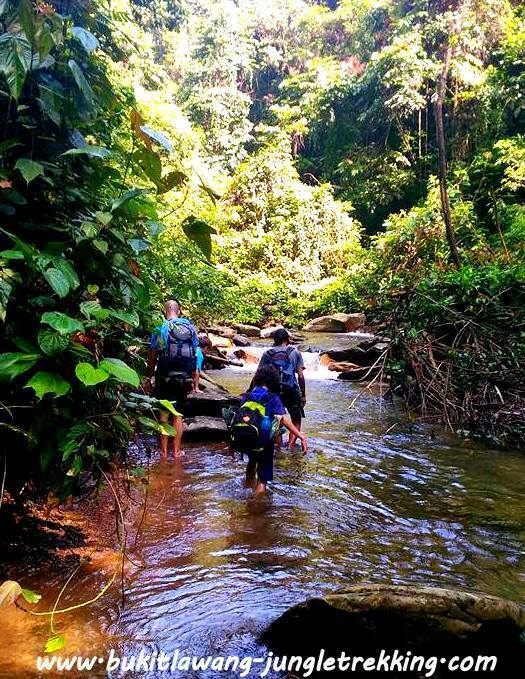 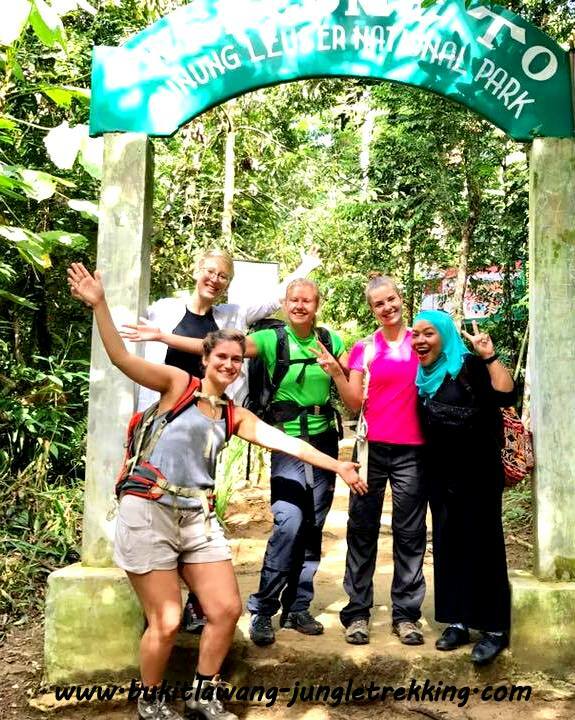 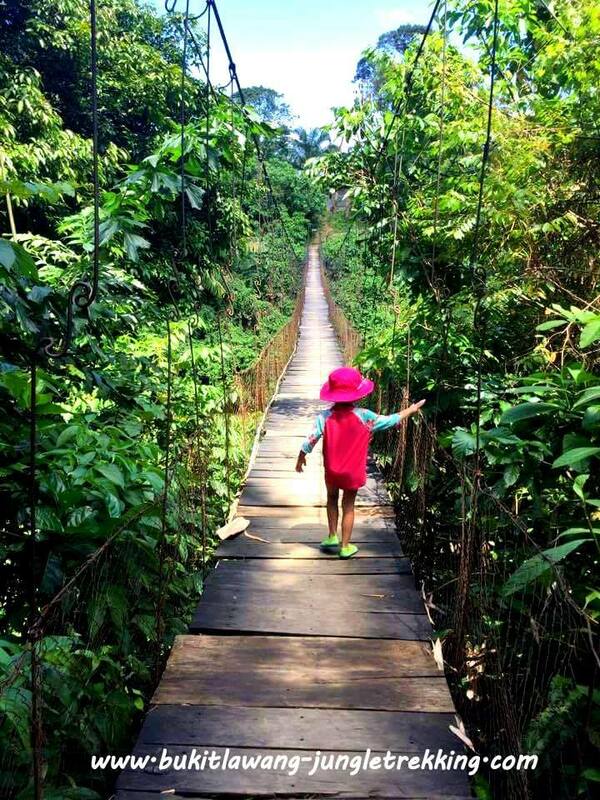 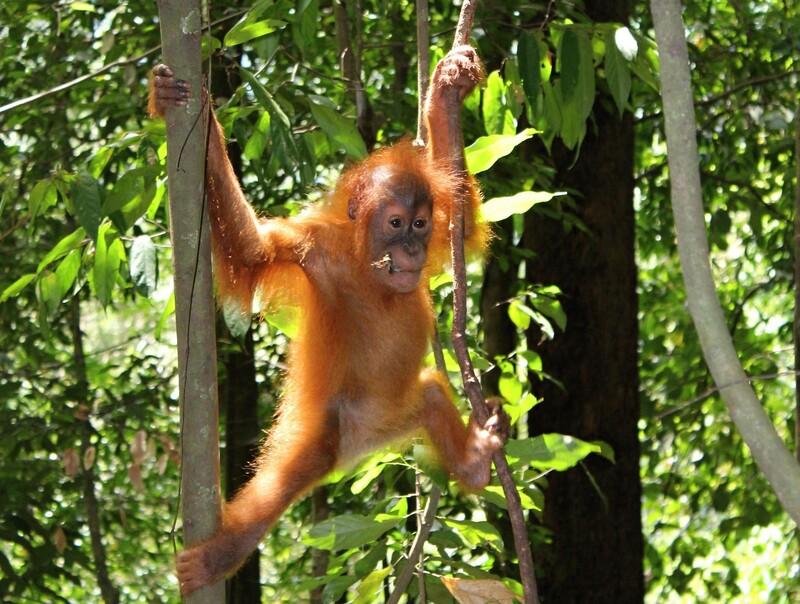 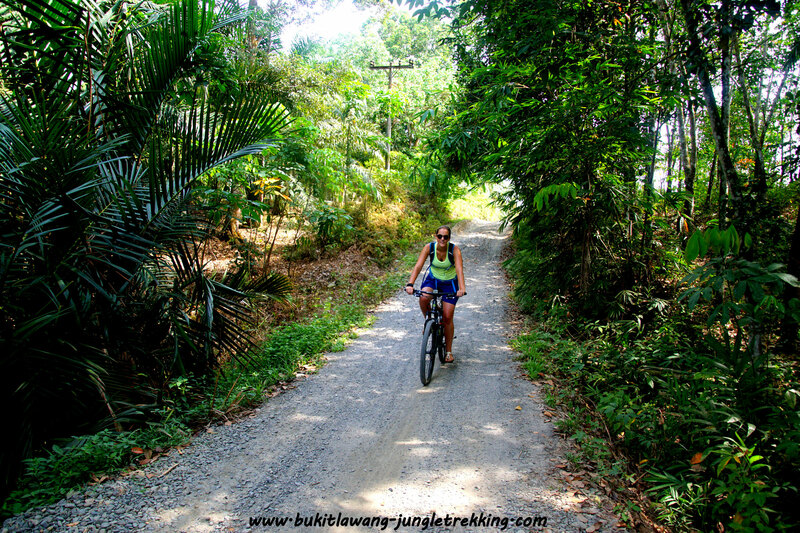 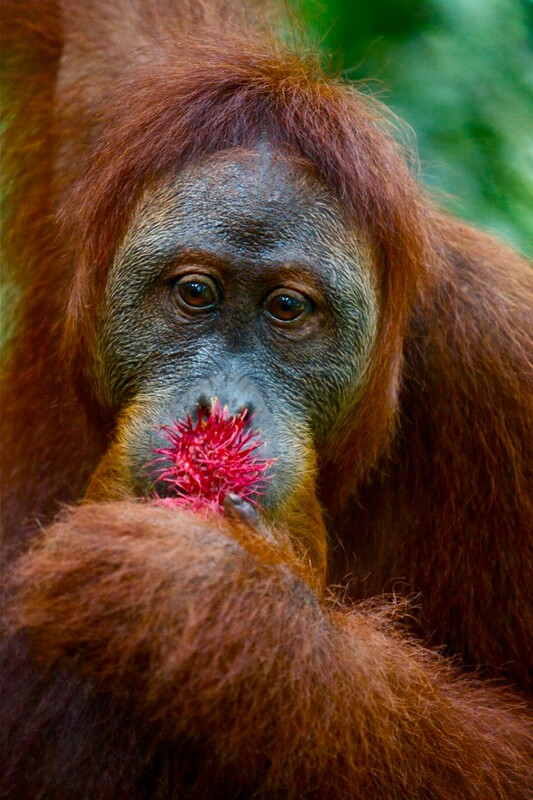 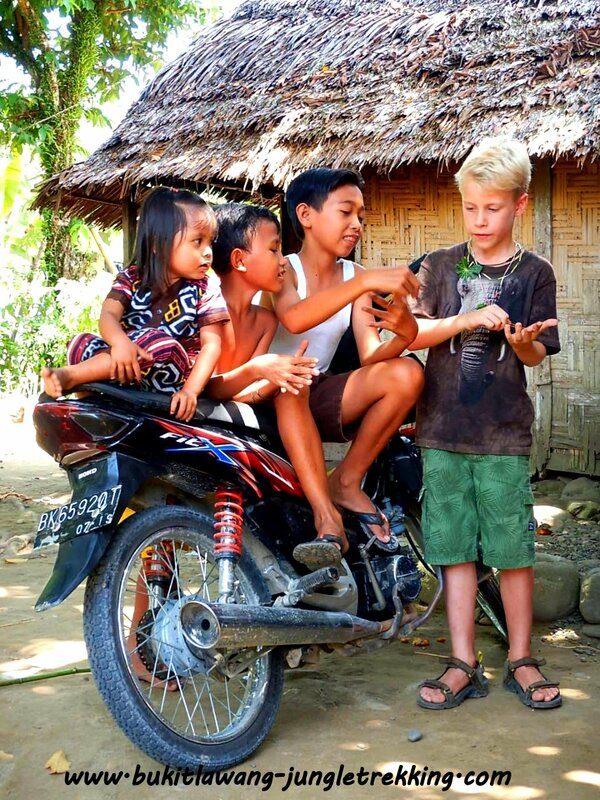 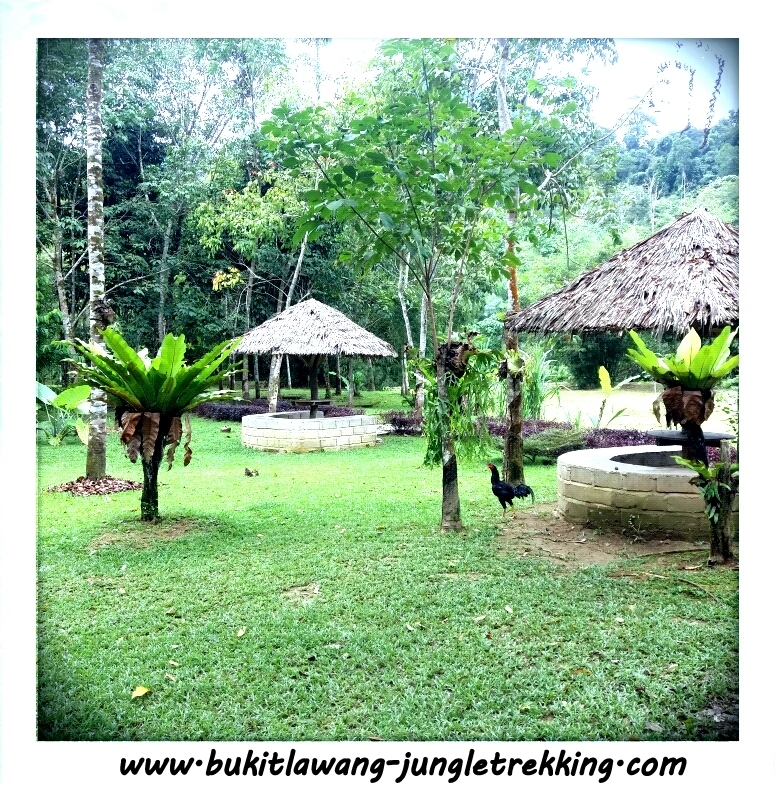 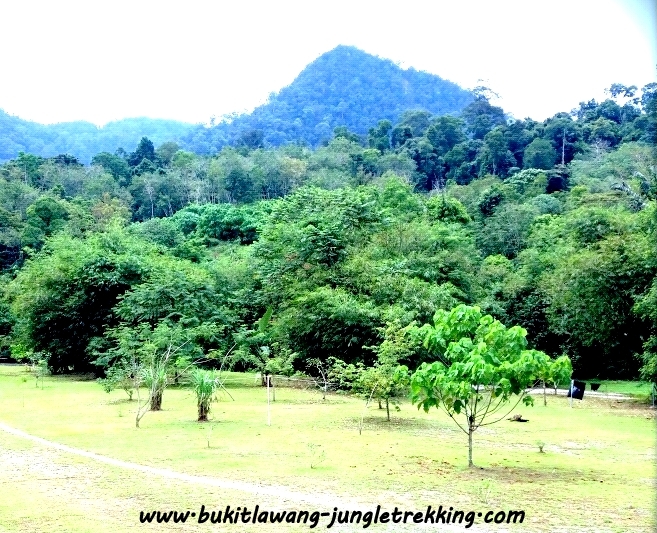 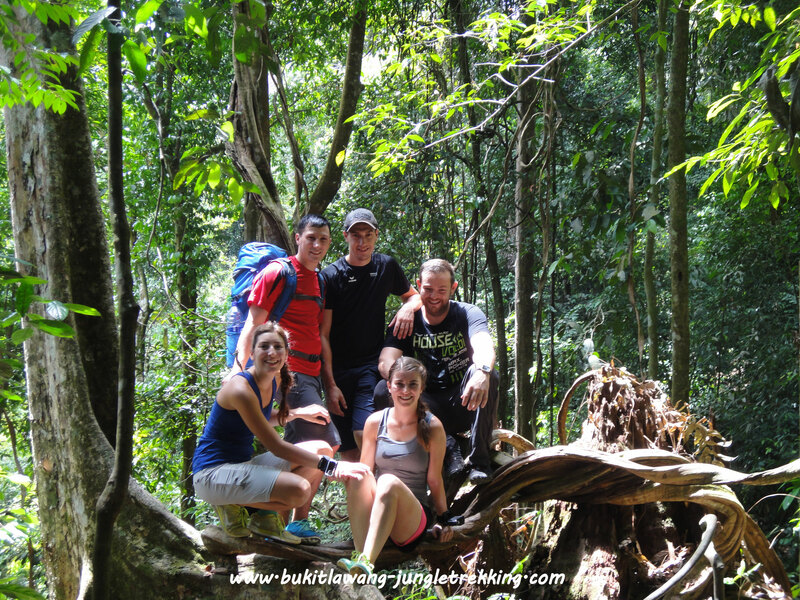 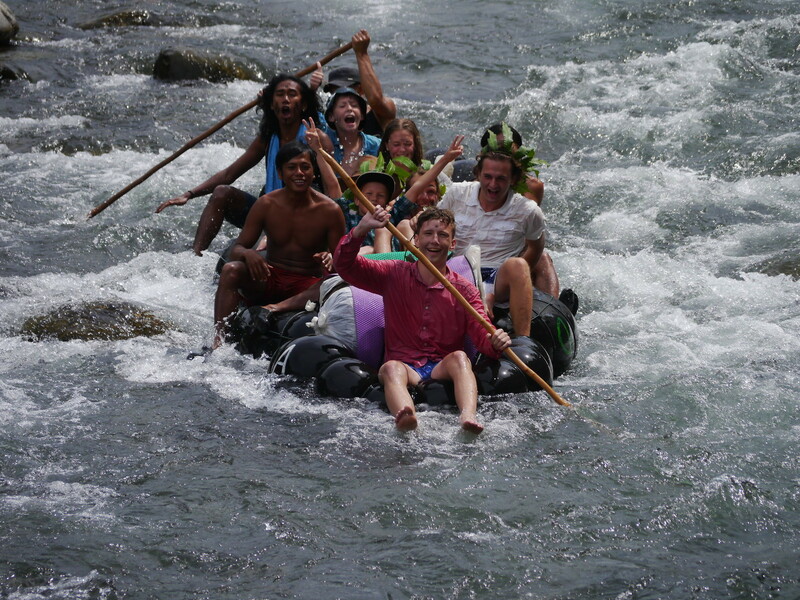 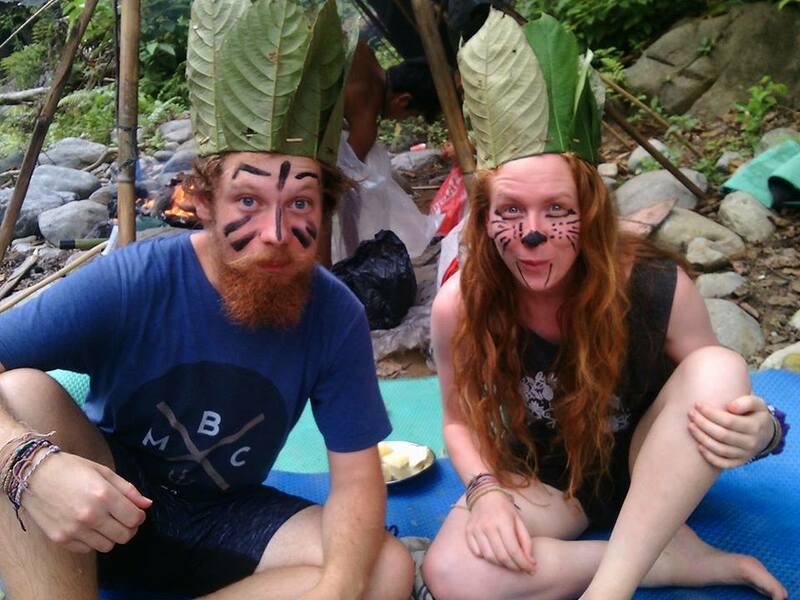 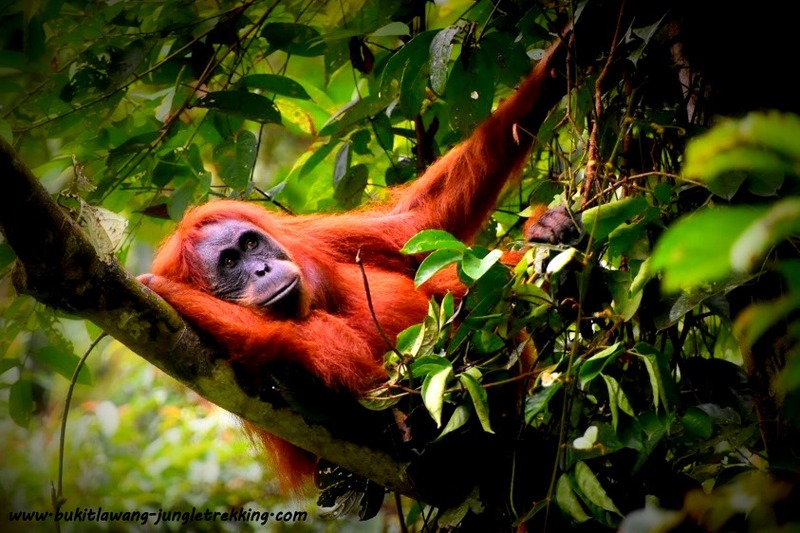 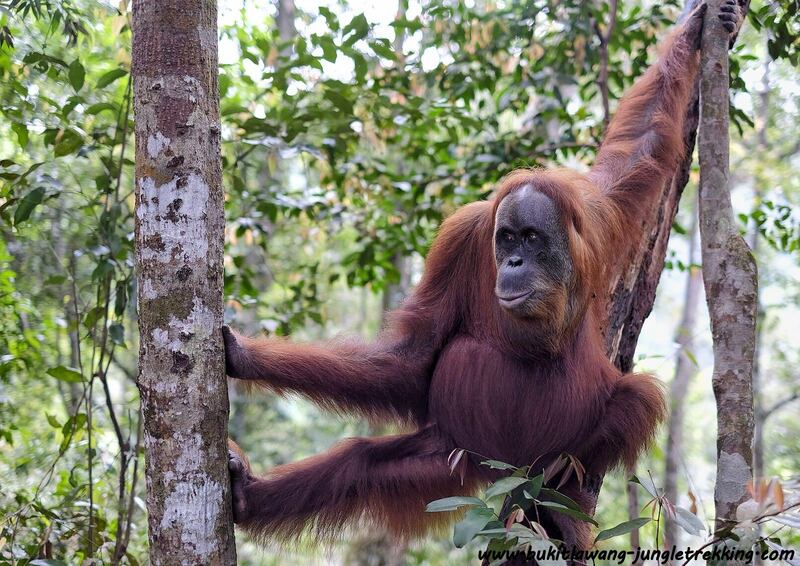 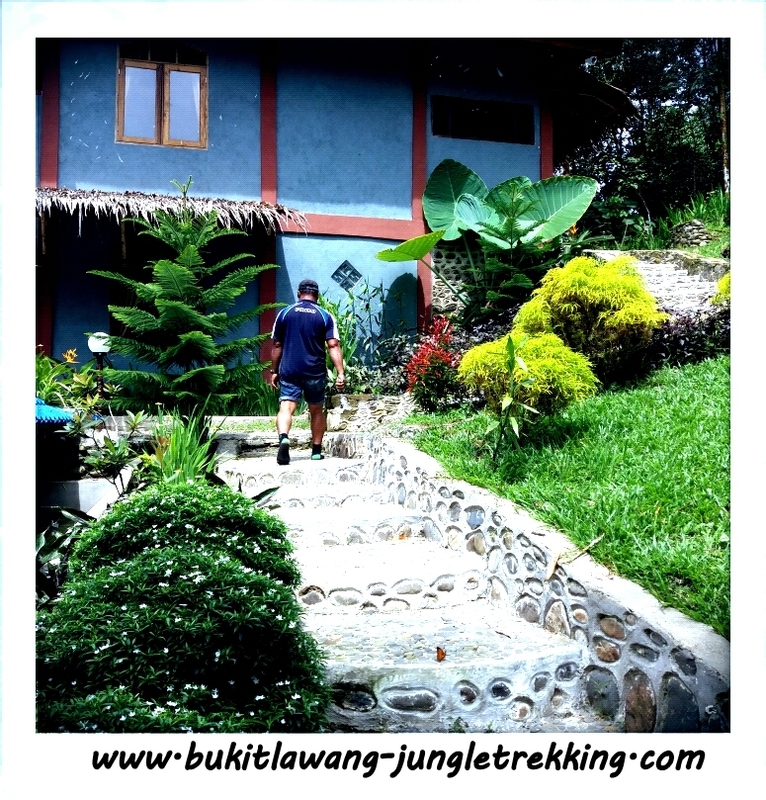 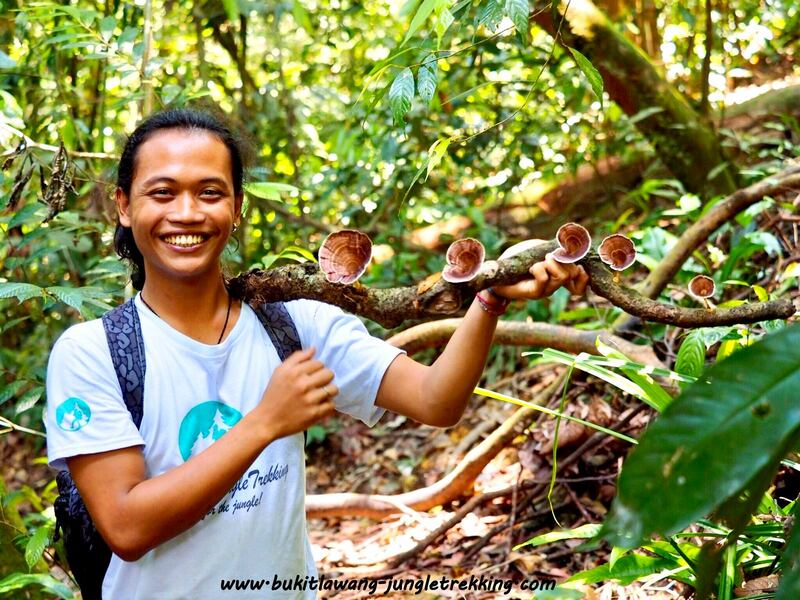 Accomodiation-Jungle Trekking in Bukit Lawang - Jungle Trekking Tours in Bukit Lawang,Sumatra! 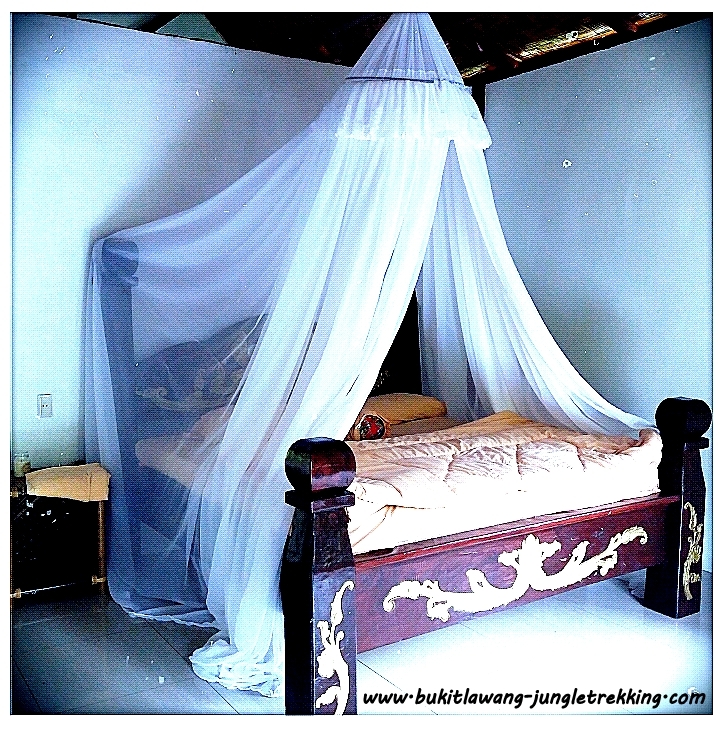 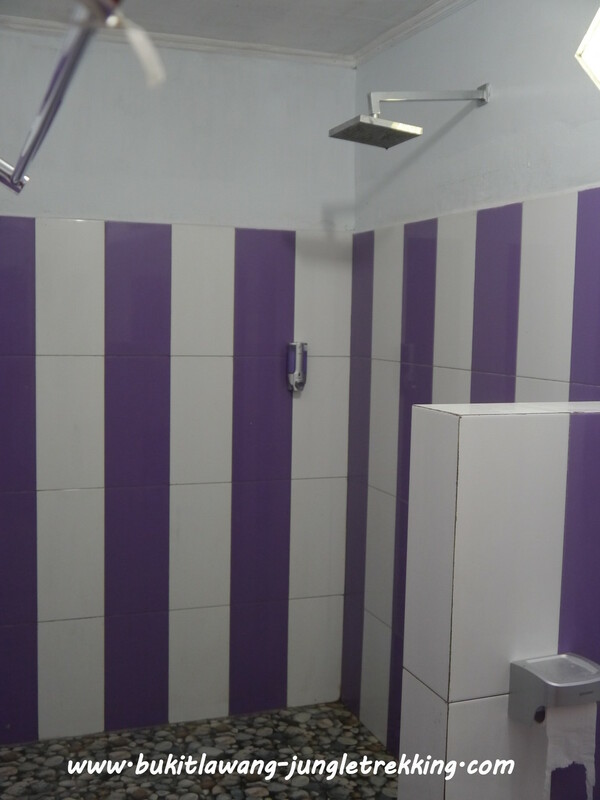 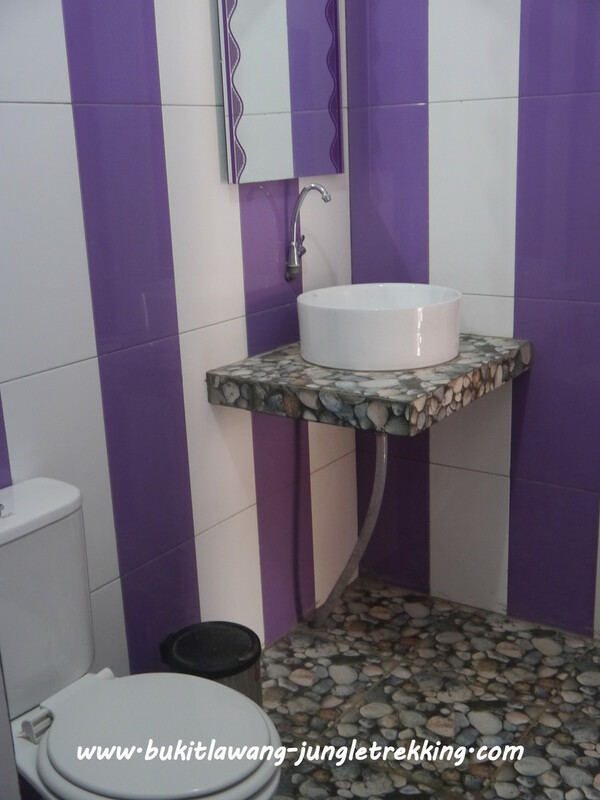 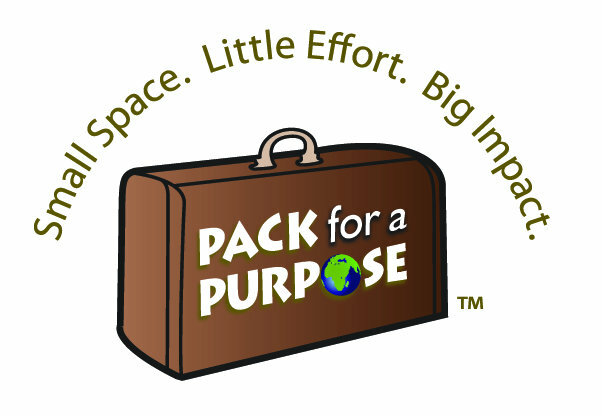 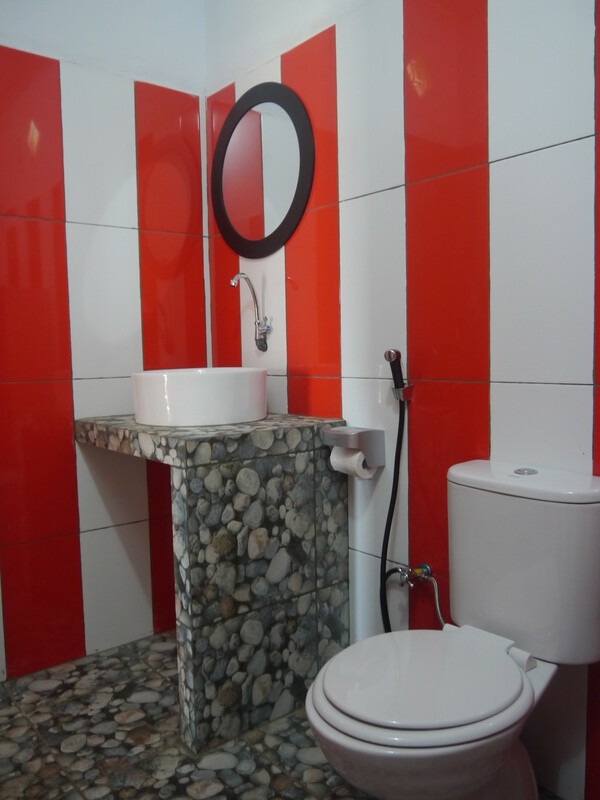 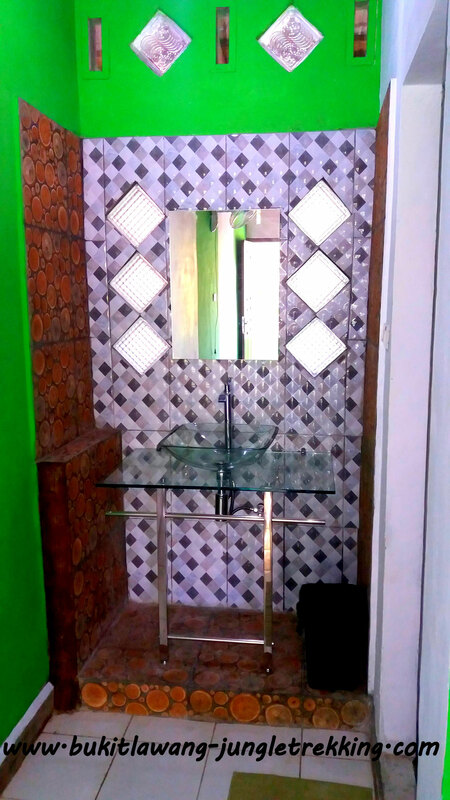 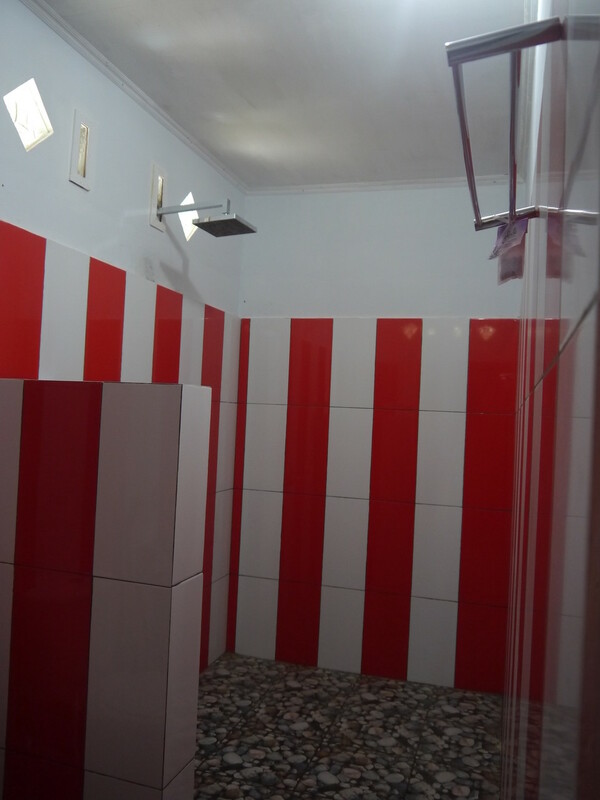 We can arrange all types of accommodiation depending on your budget and needs. 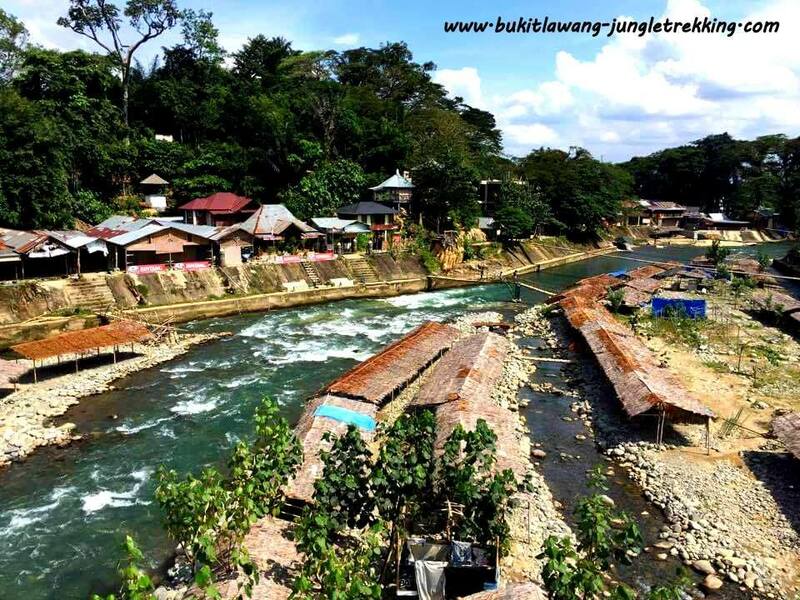 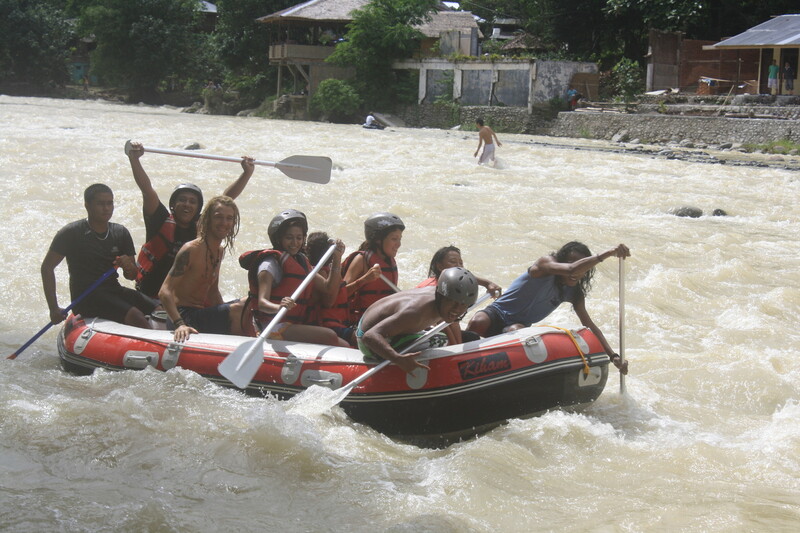 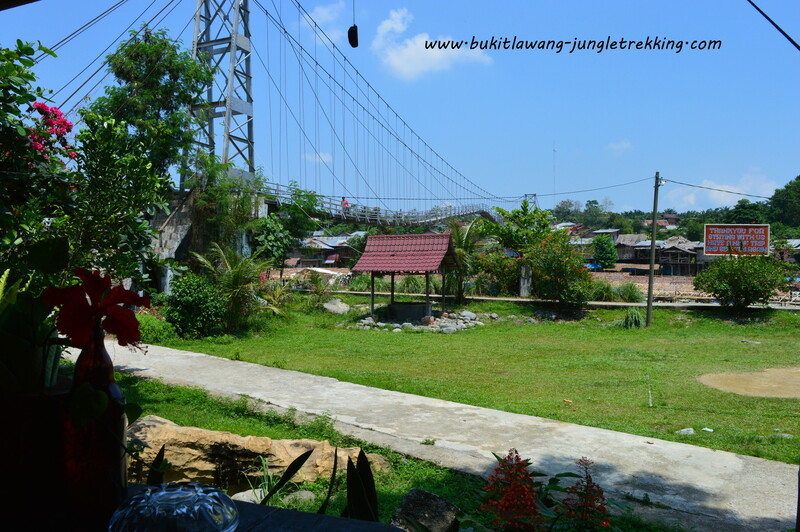 Most of the rooms and guesthouses in Bukit Lawang are situated close to the Bohorok River with great views of the river and the surrounding jungle. 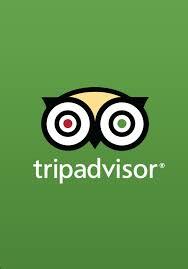 Just let us know which hotel level you wish and facilities you need and we will send our recommendations. 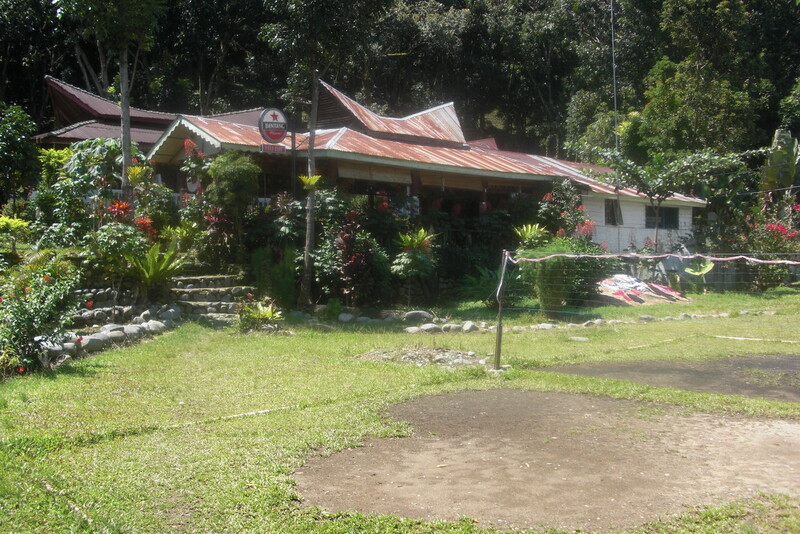 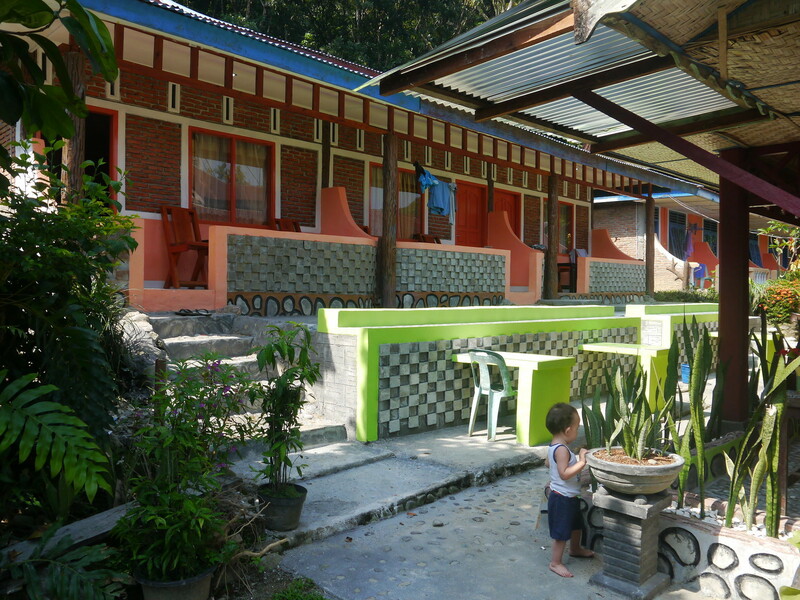 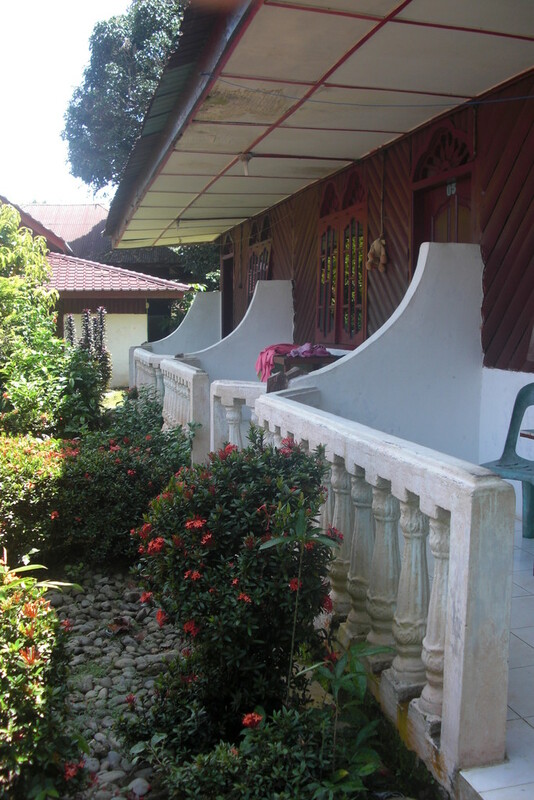 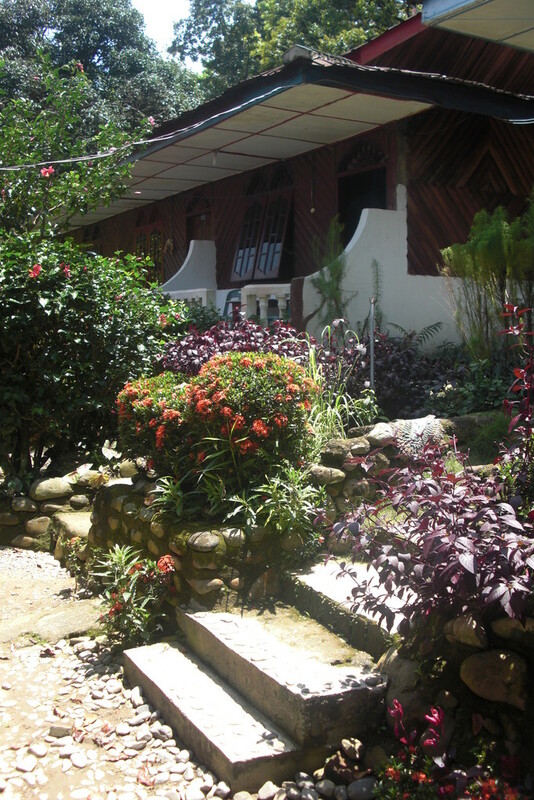 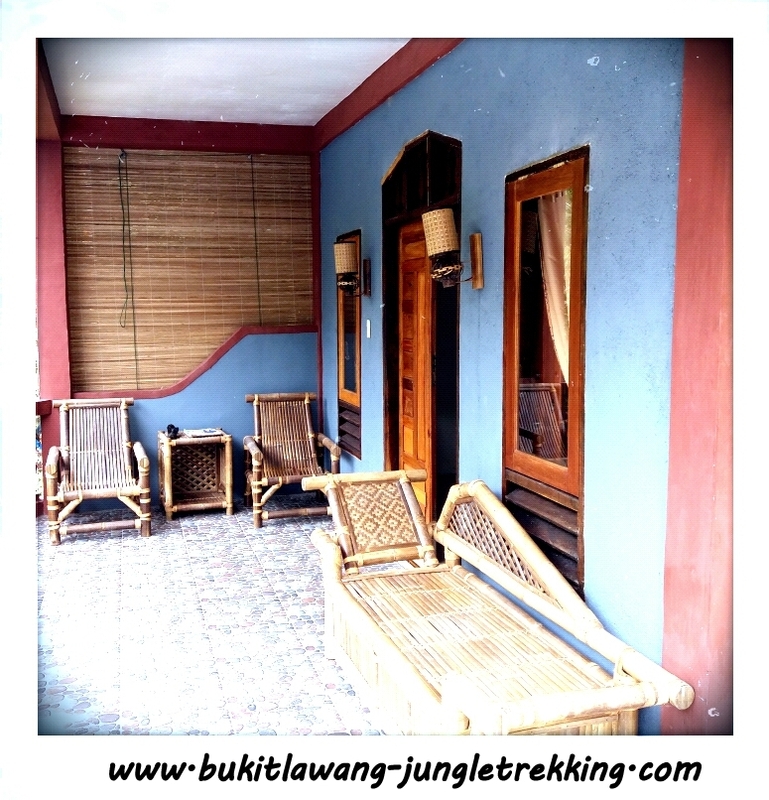 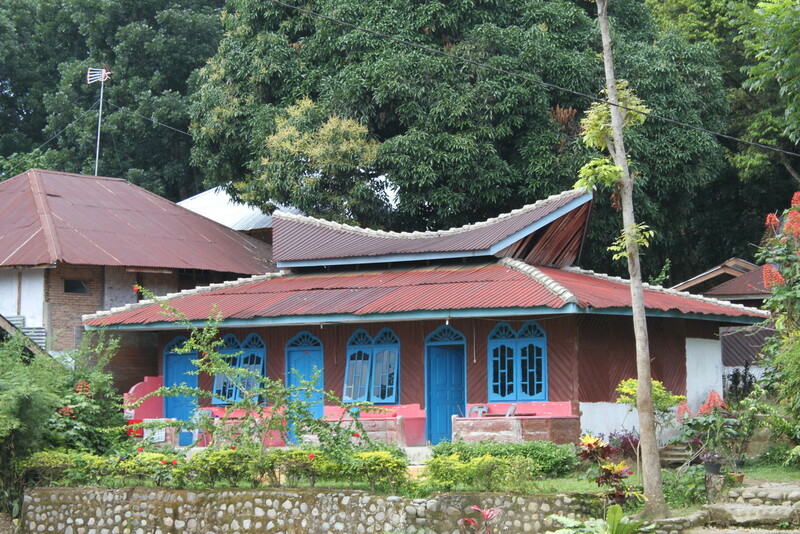 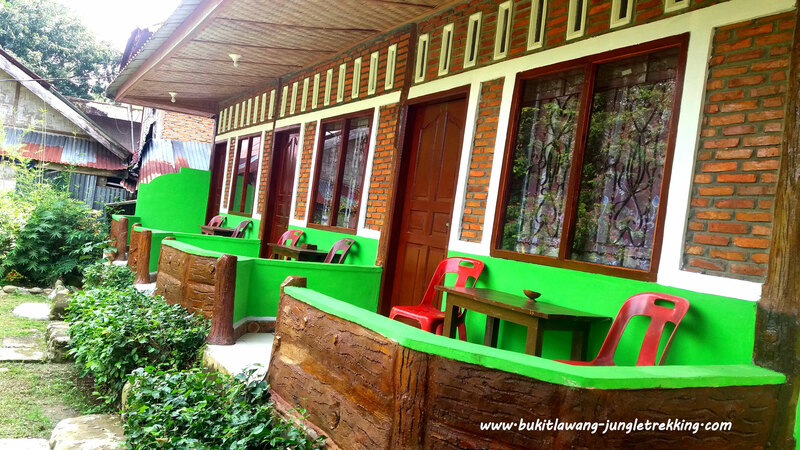 Our familys guesthouse is the Bukit Lawang Indah Guesthouse & Restaurant. 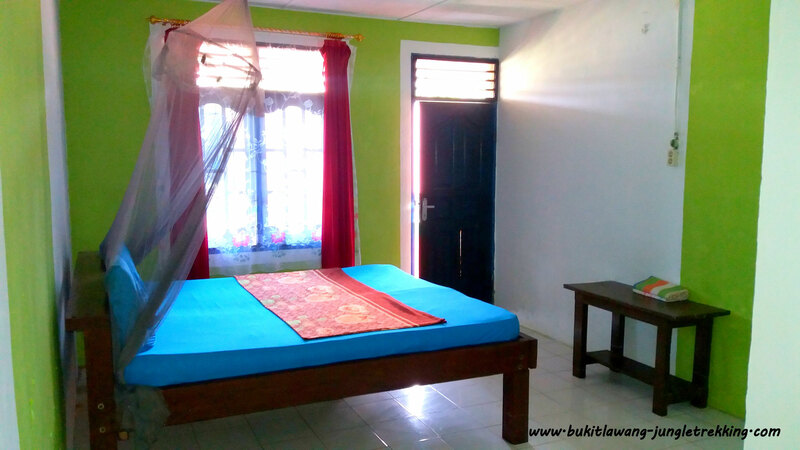 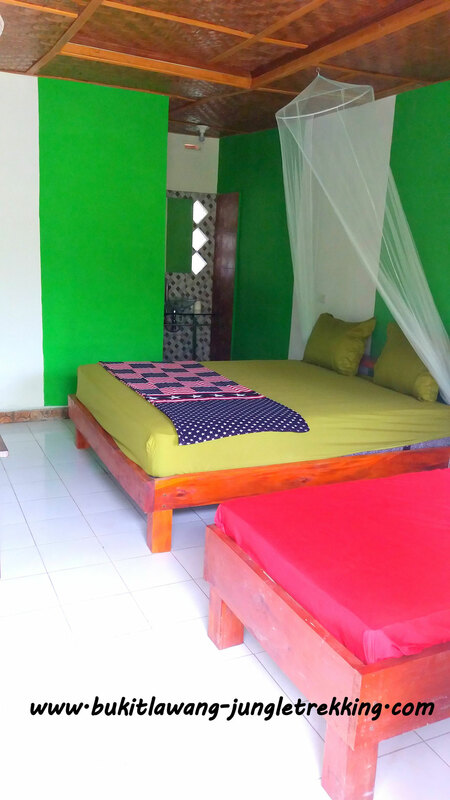 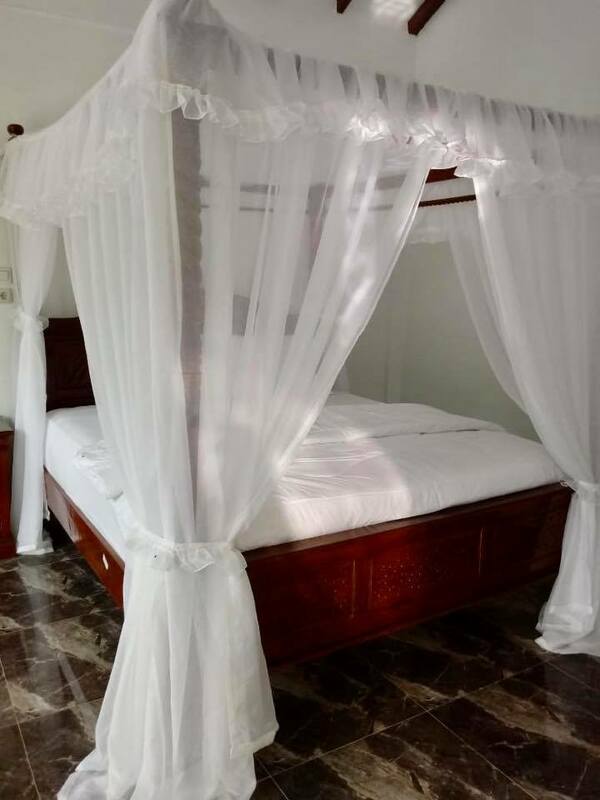 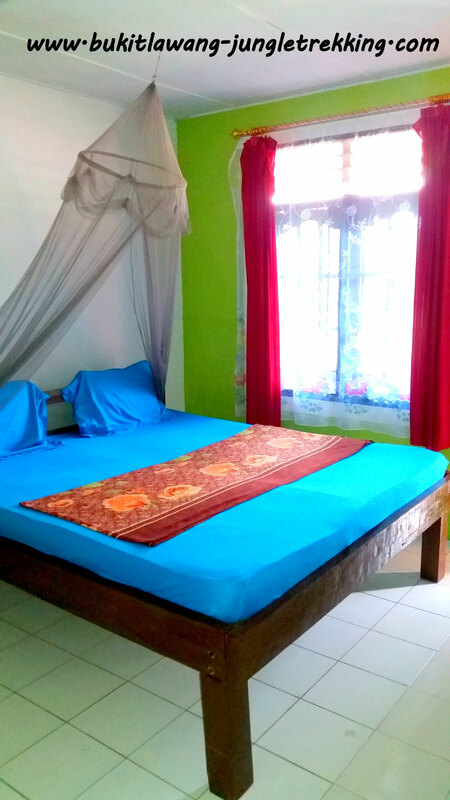 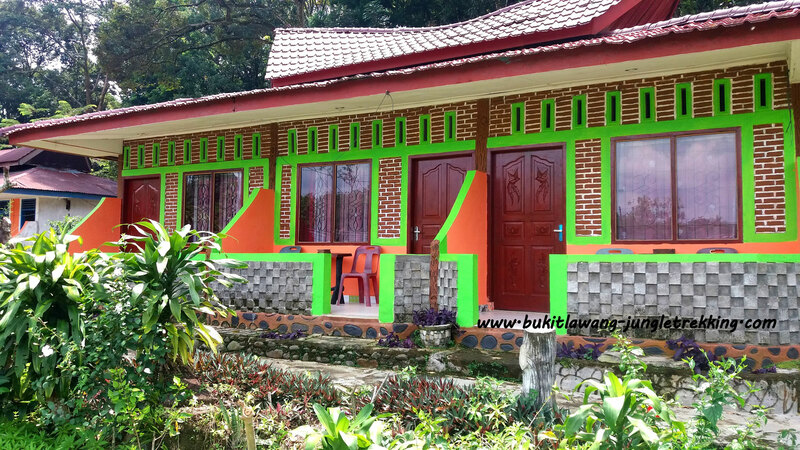 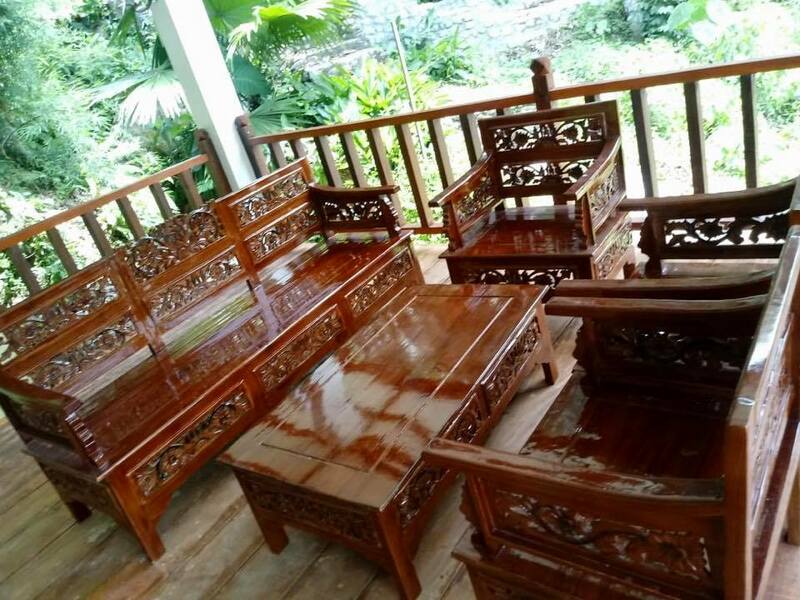 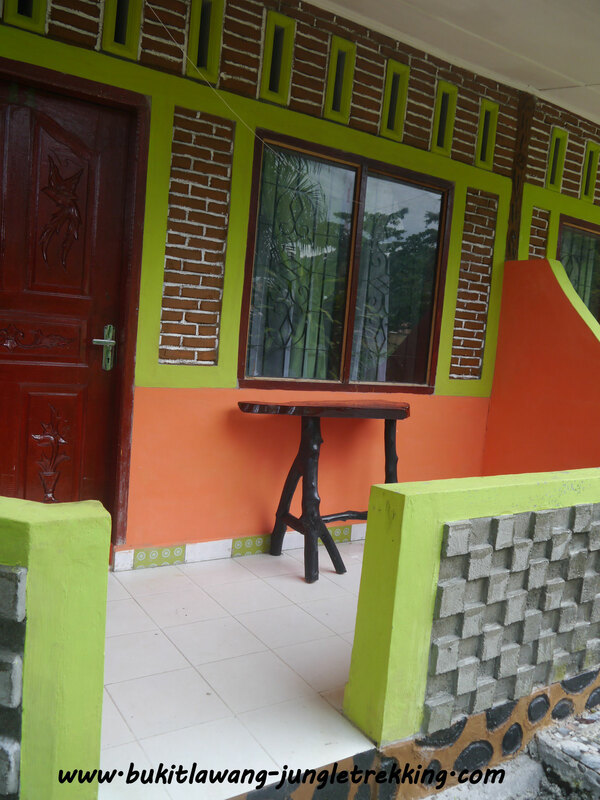 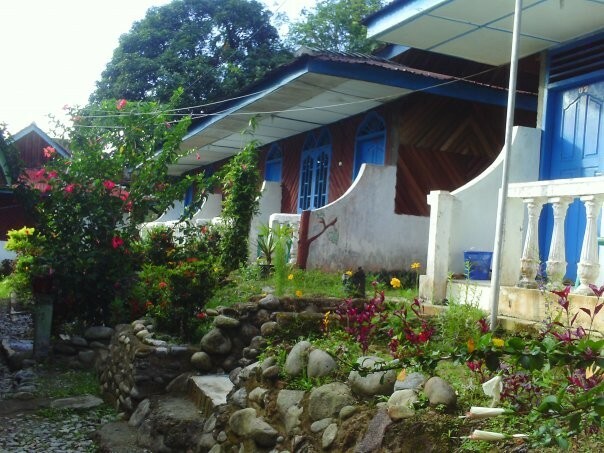 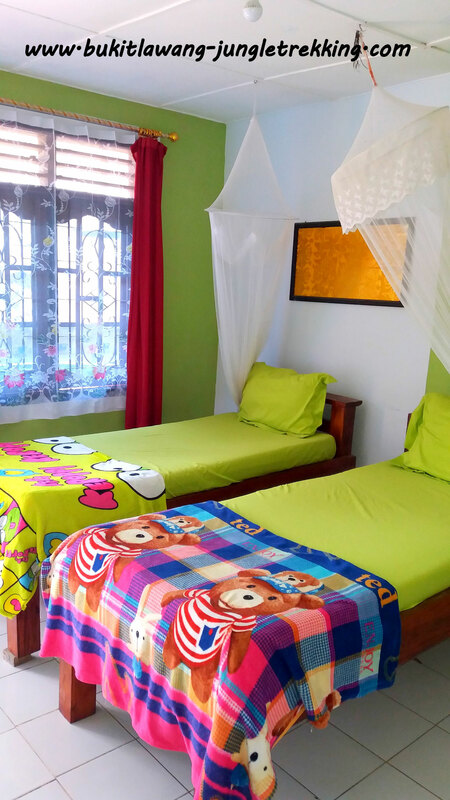 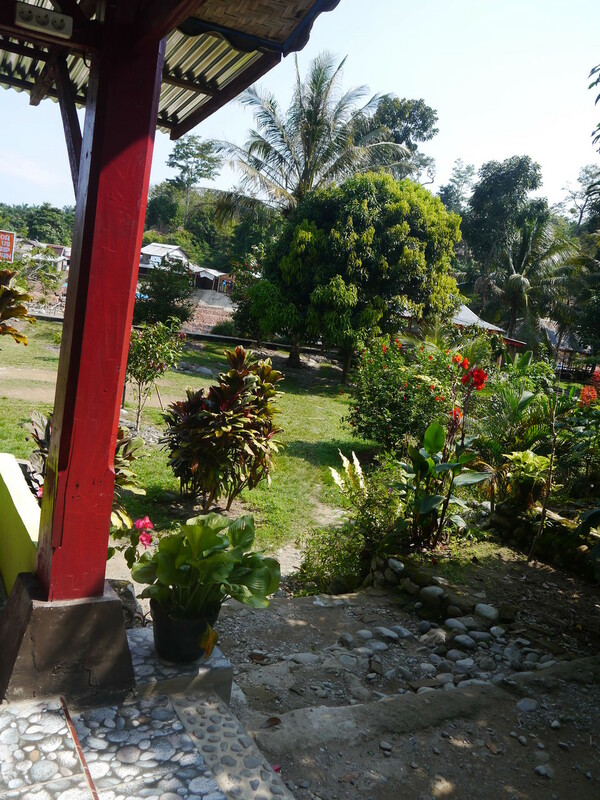 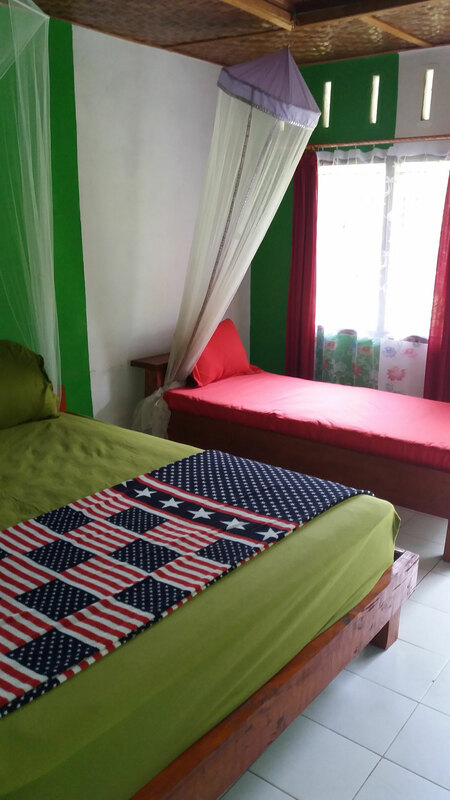 Bukit Lawang Indah Guesthouse has 12 rooms with private bathrooms and own balconys from where you have a great view and can enjoy the natural peace,silence and privacy. 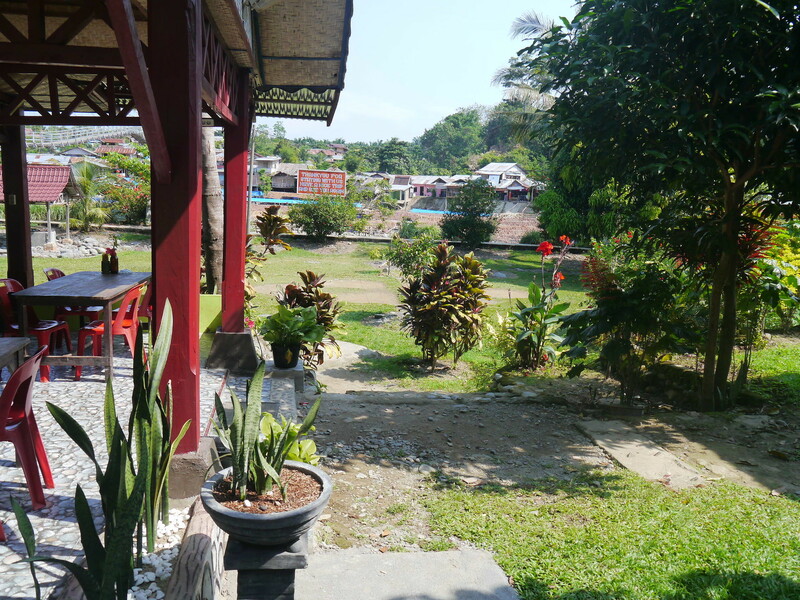 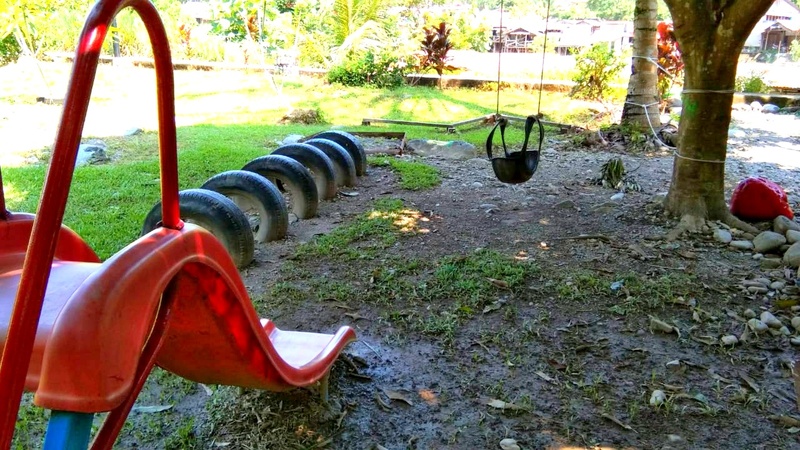 The Guesthouse has a nice garden in the front and a little playground for kids as well as a barbecue area. 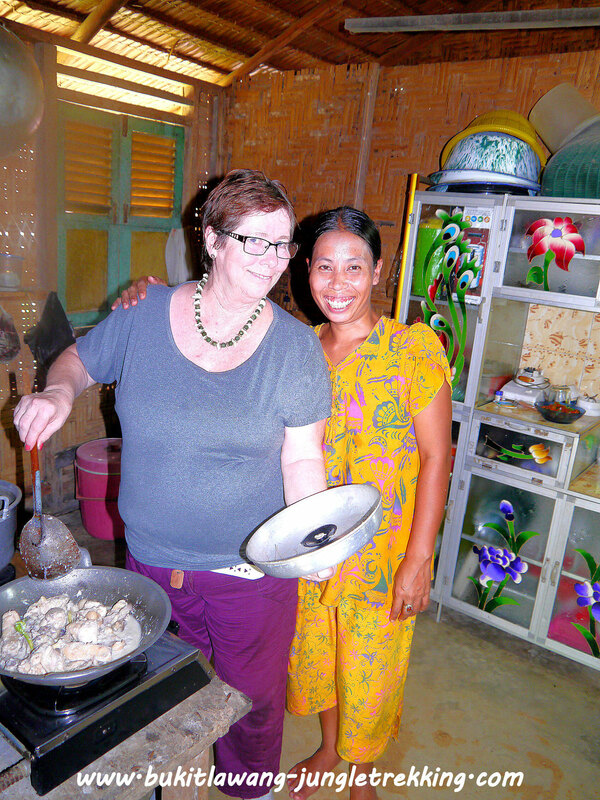 You can request for a fish or/and chicken barbecue at the hotel reception. 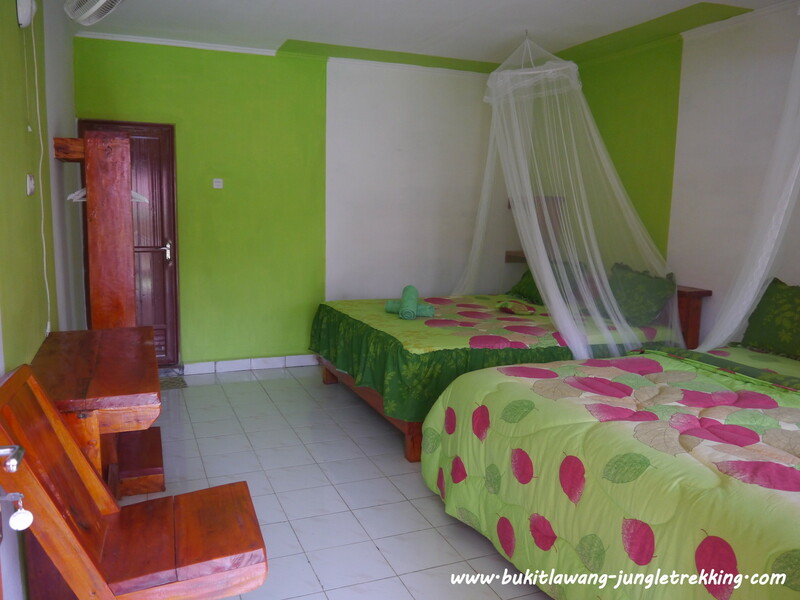 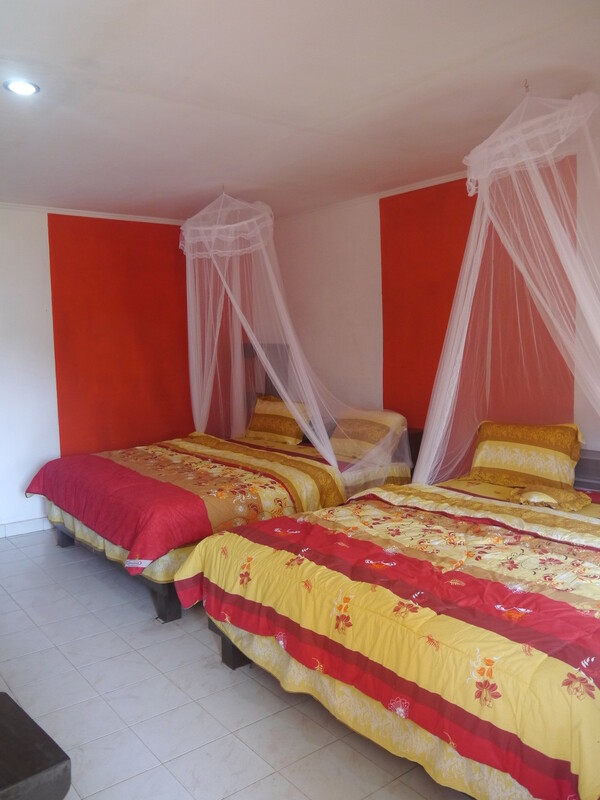 They offer FREE WIFI and airport shuttles ( not free ) , laundry service, ticket service and offer many other activities like cyclingand village tours. 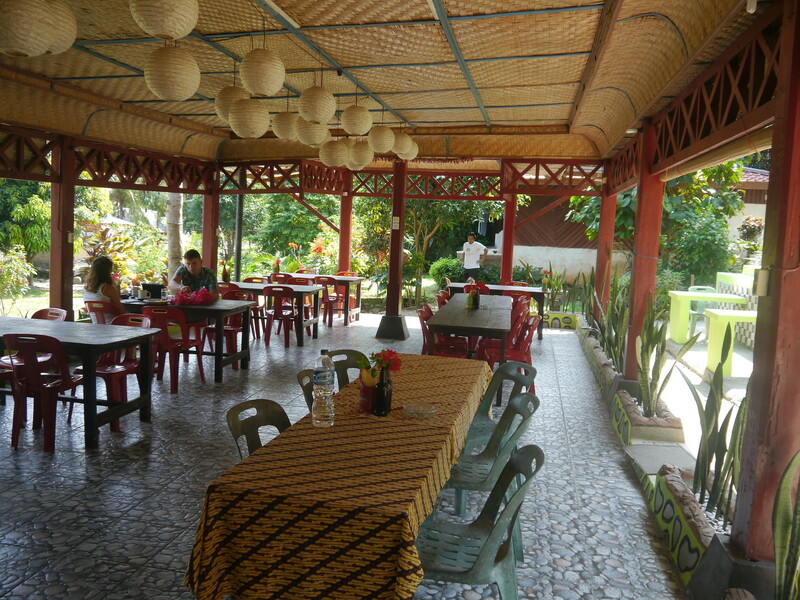 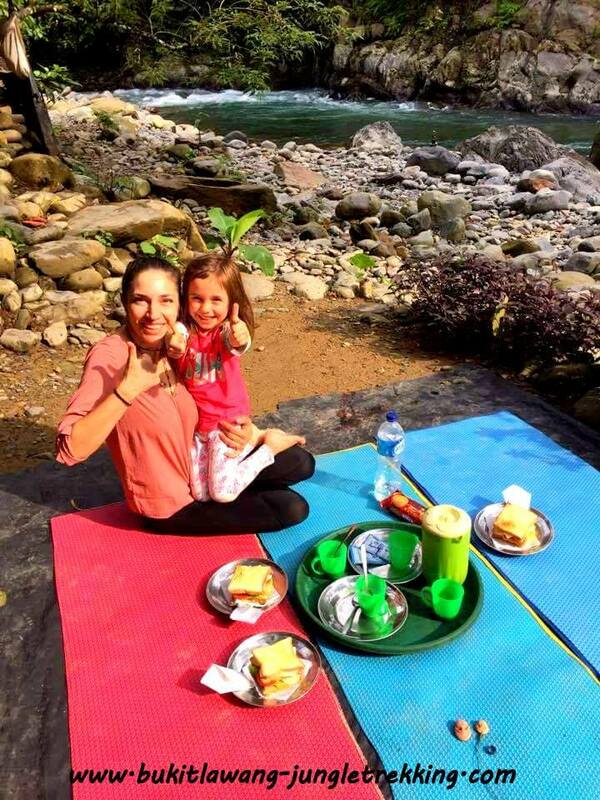 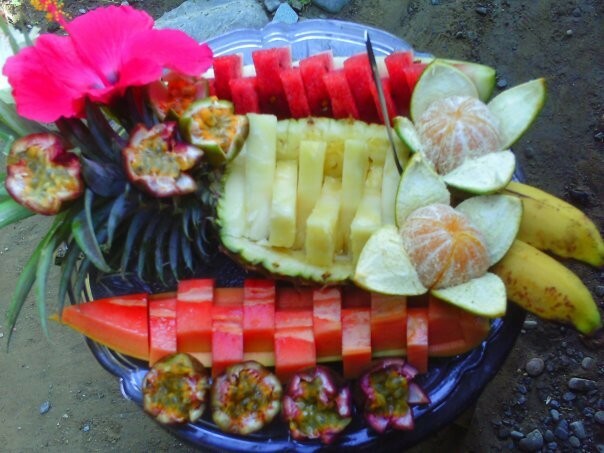 The restaurant is very famous for its delicious food...many people who are not staying in other guesthouses just come to BUKIT LAWANG INDAH for breakfast,lunch or dinner. 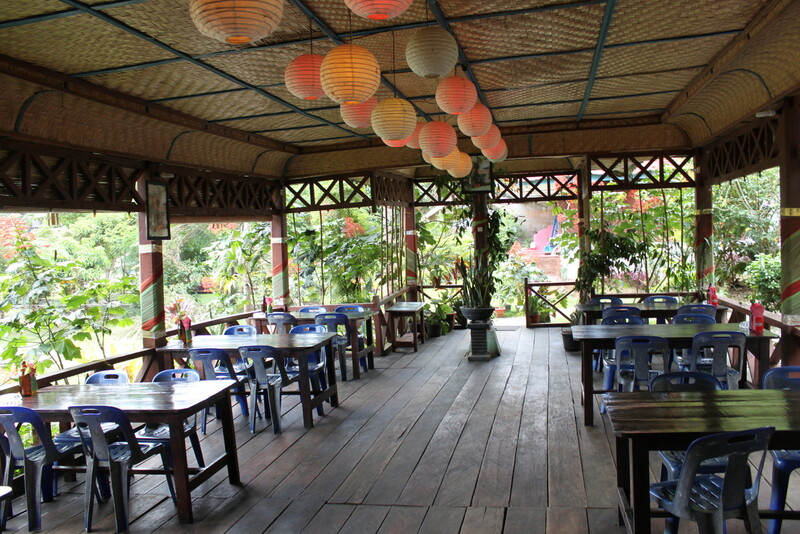 It is open from 7am to 10pm and serves a huge choice of western and indonesian food. 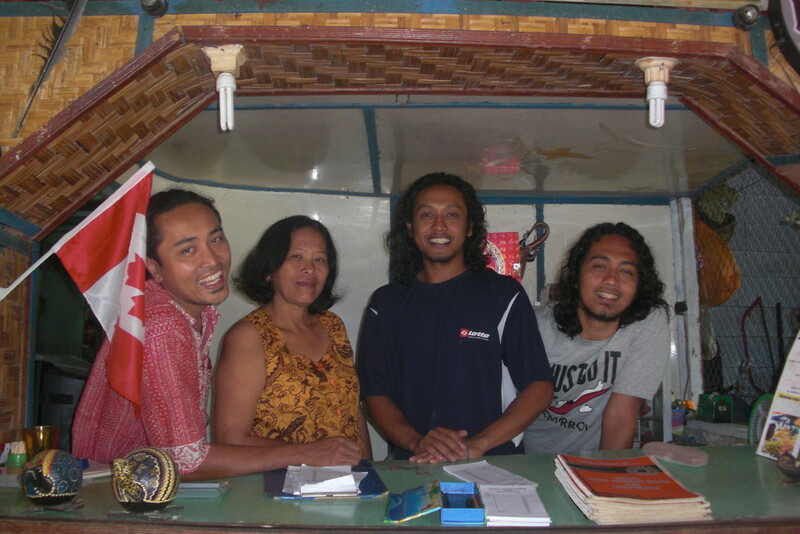 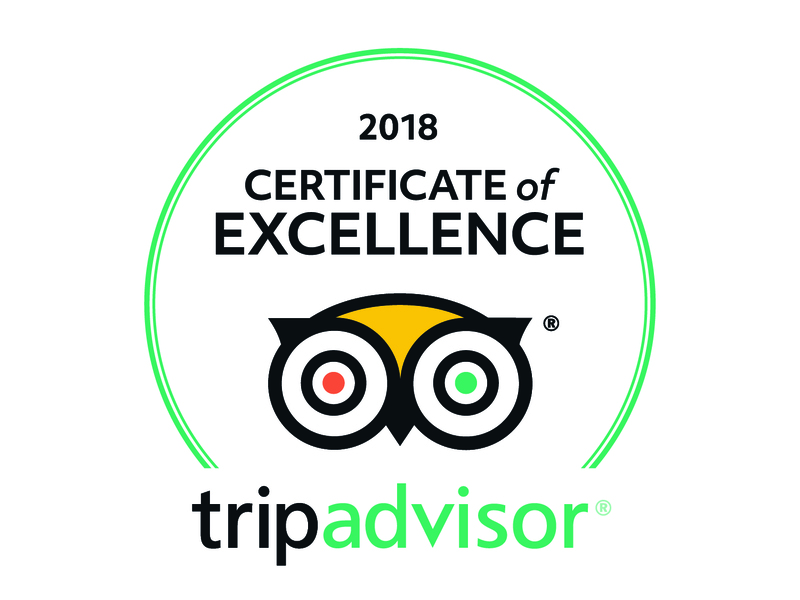 No matter if you are travelling alone,with friends, as a couple or family with children....the friendly owners and their lovely crew will welcome you very heartily. 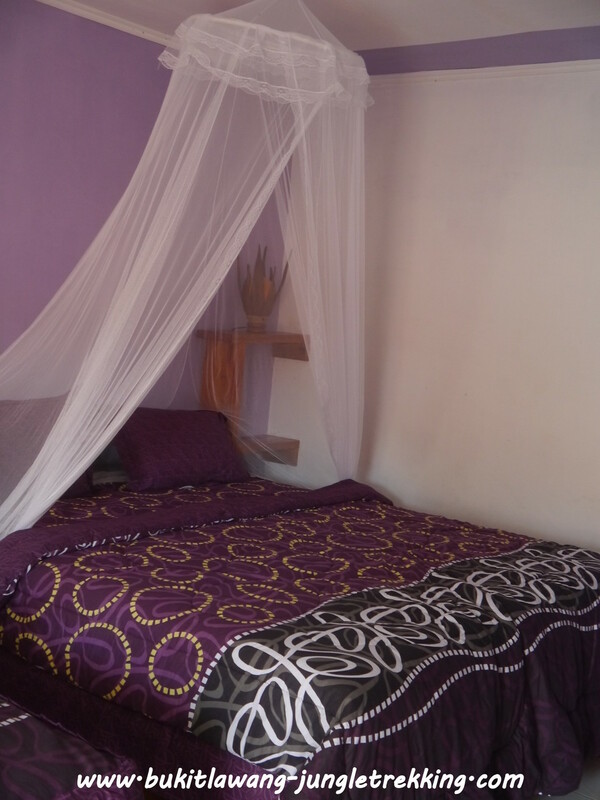 Please note that room prices are without breakfast! 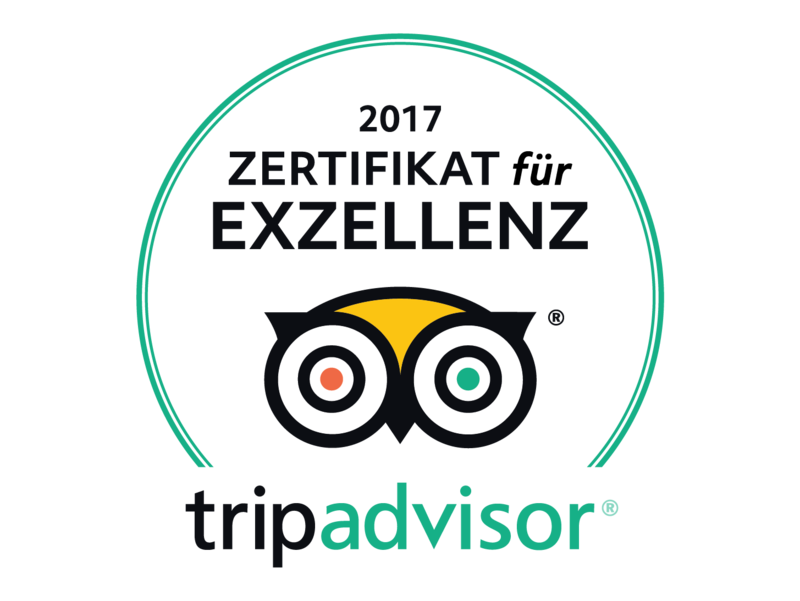 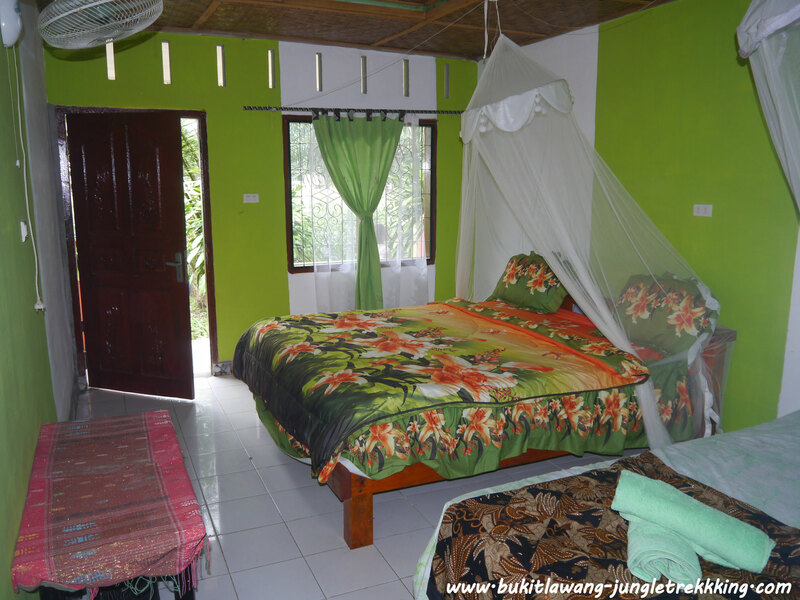 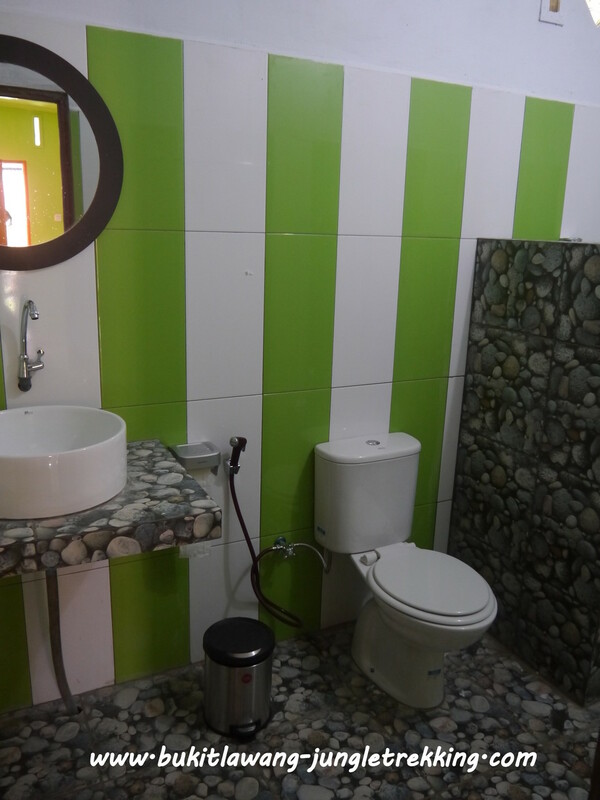 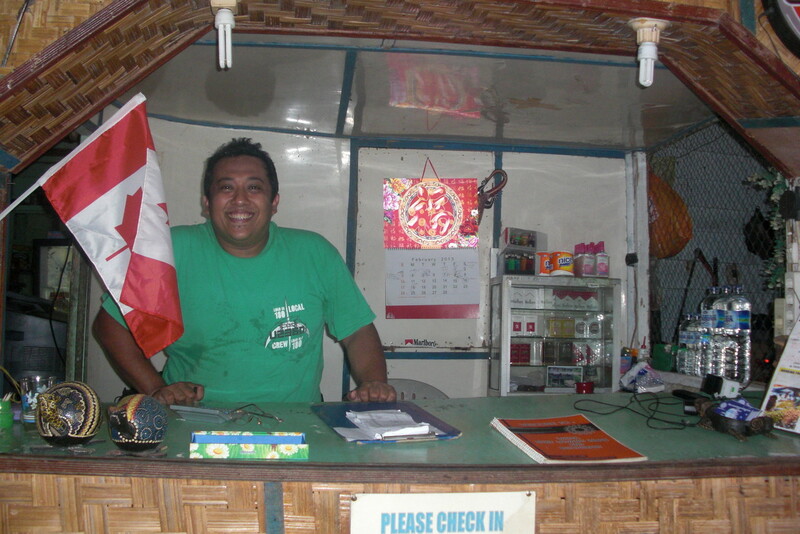 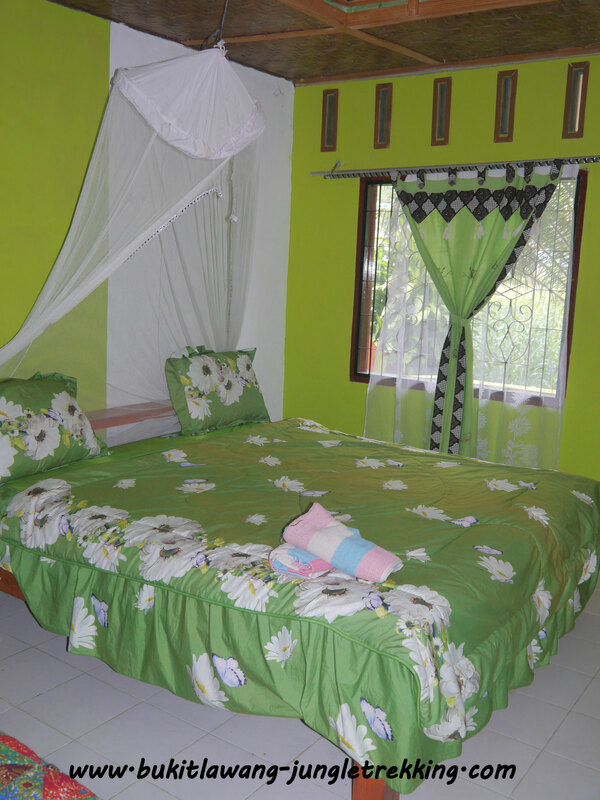 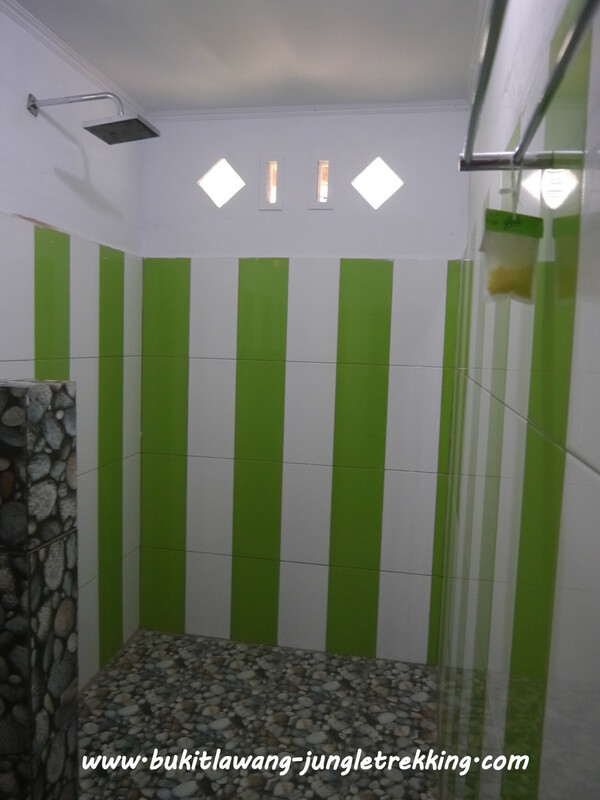 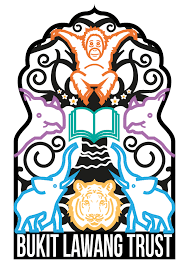 Please contact us of you wish to book a room at Bukit Lawang Indah Guesthouse. 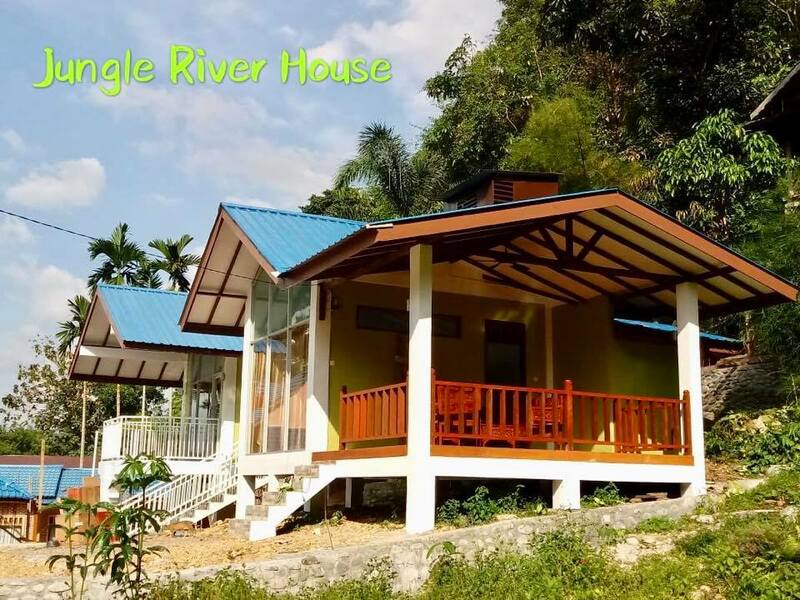 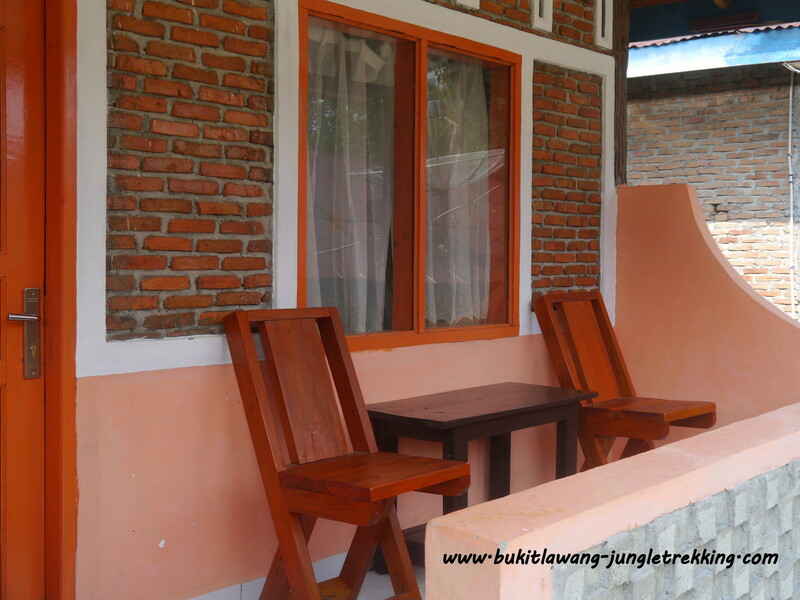 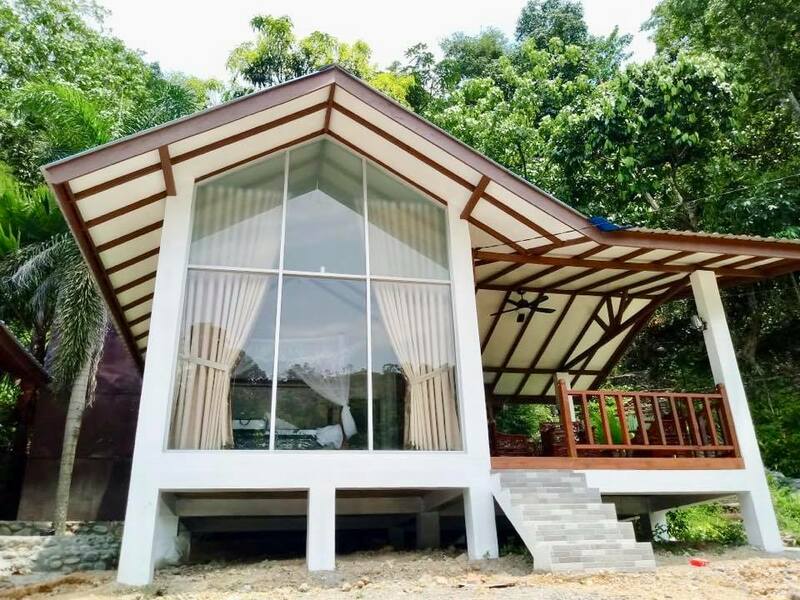 The JUNGLE RIVER HOUSE is brandnew guesthouse,only open since March 2018. 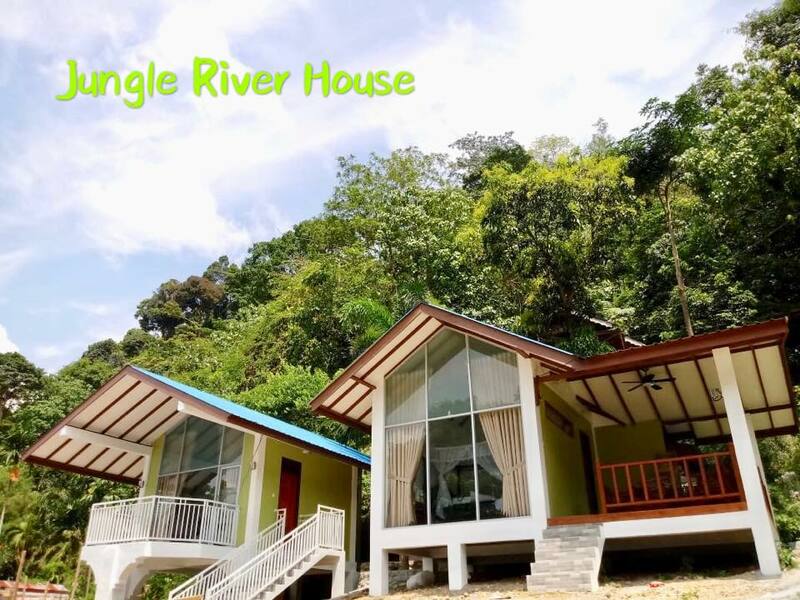 Its located directly at the river and offers a stunning view across the river. 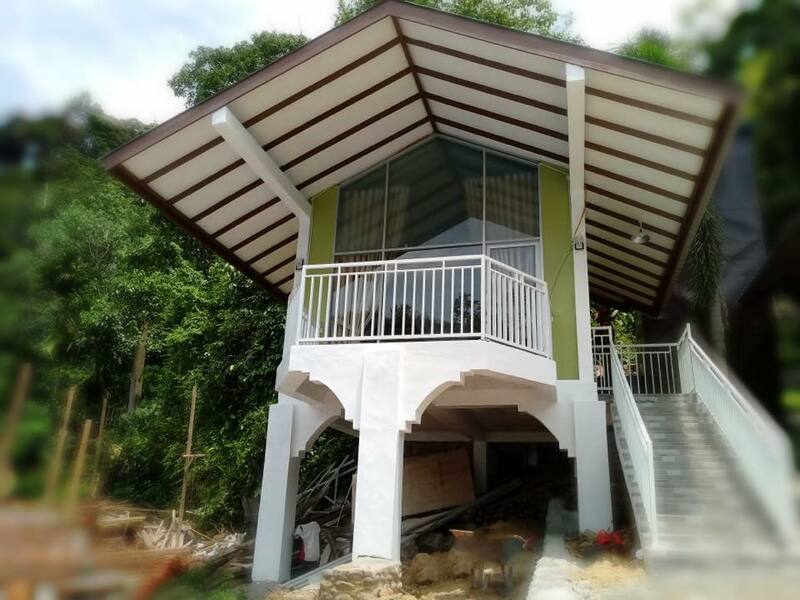 It has a full glass-front and a beautiful private balcony to relax and enjoy the view. 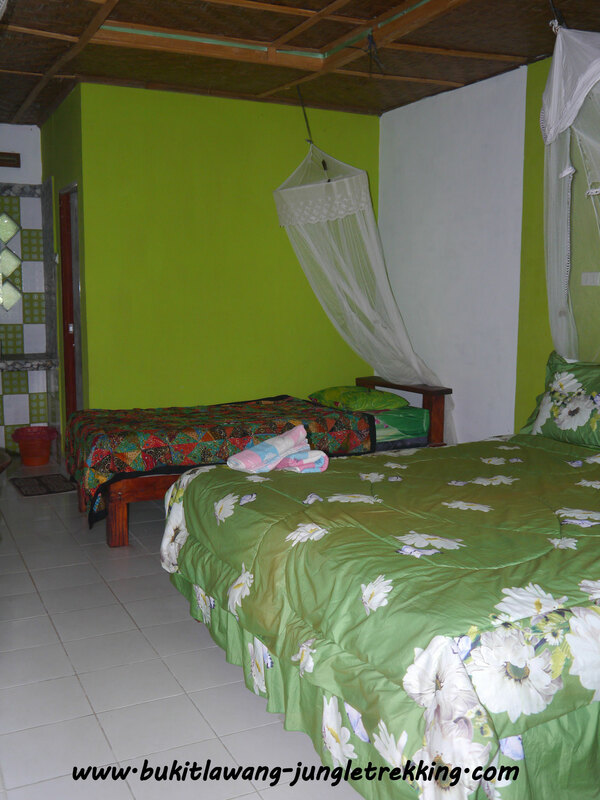 They offer 2 rooms first and for breakfast .lunch and dinner there is a restaurant closeby to use. 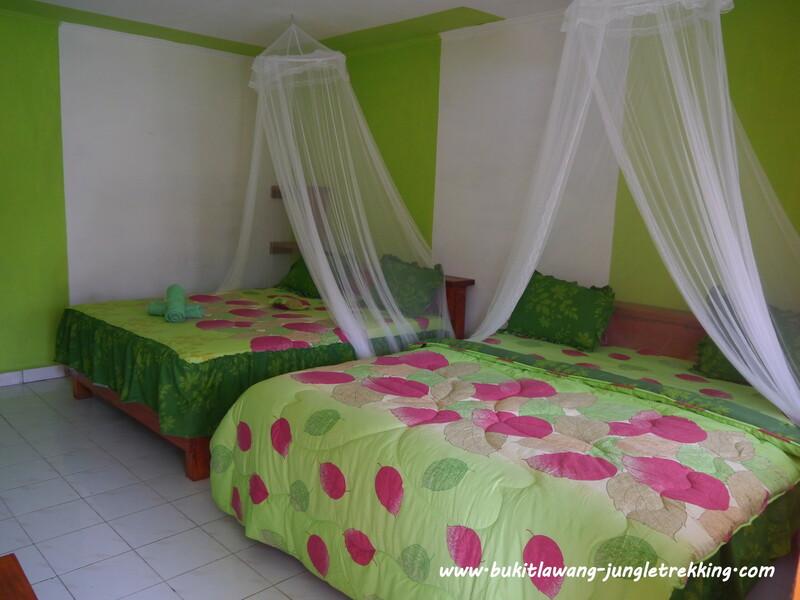 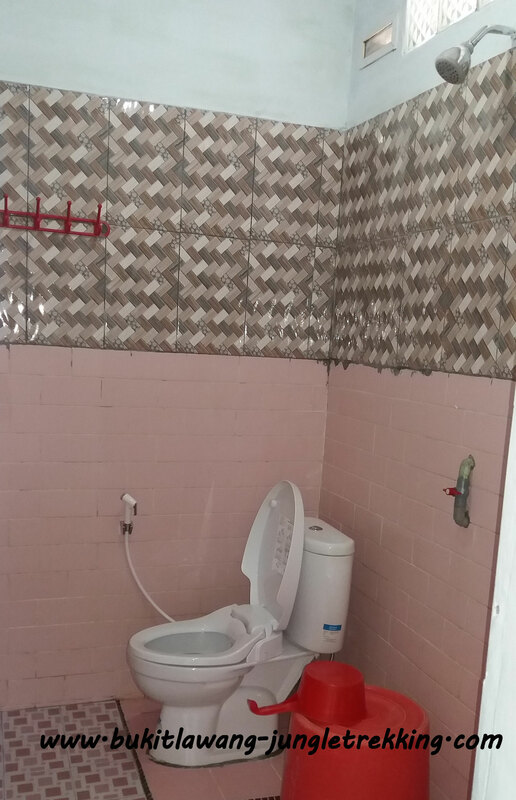 The bungalows have private access and western stlye bathrooms as well as hot shower and air-condition. 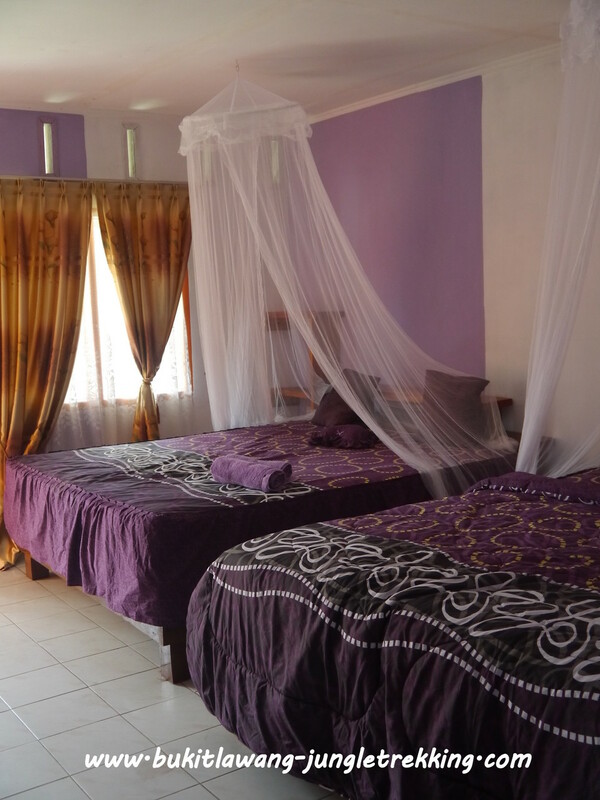 Please contact us of you wish to book a room at Jungle River Guesthouse. 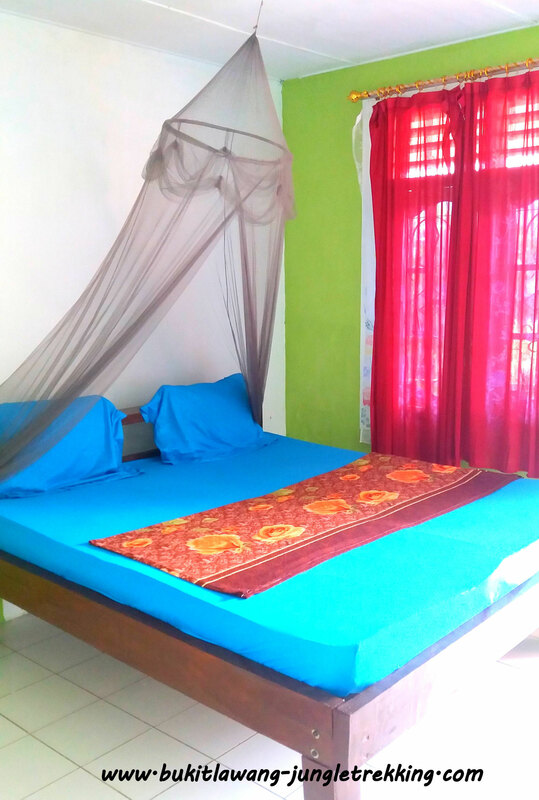 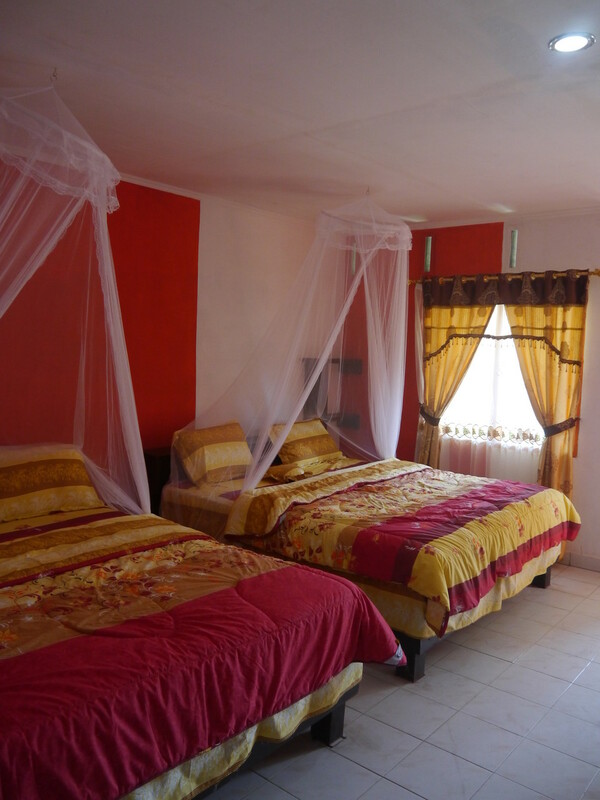 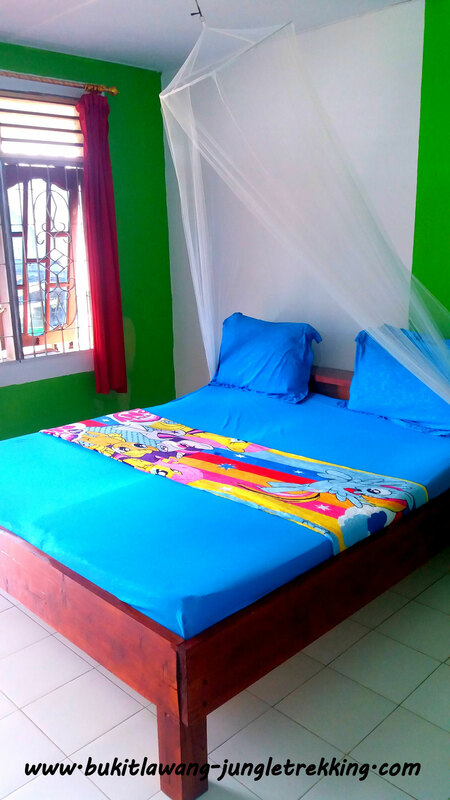 If you are looking for an extraordinary accommodation, then the Batu Kapal Guesthouse might be the right decision. 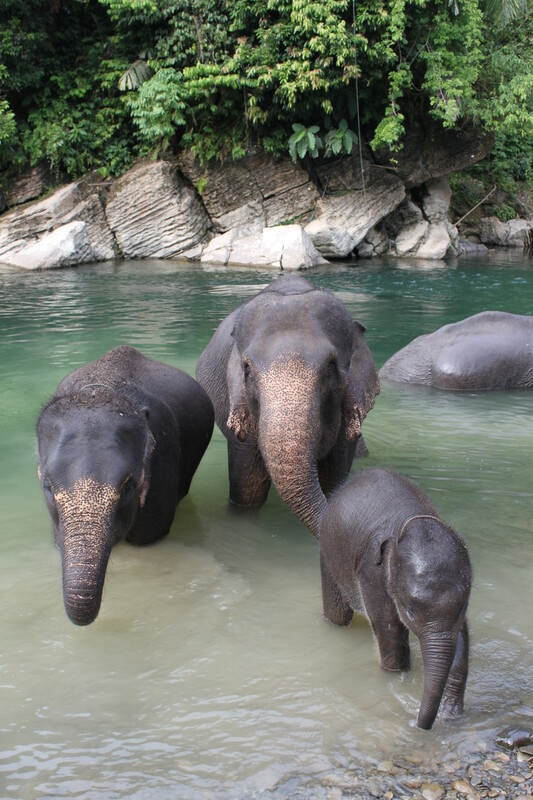 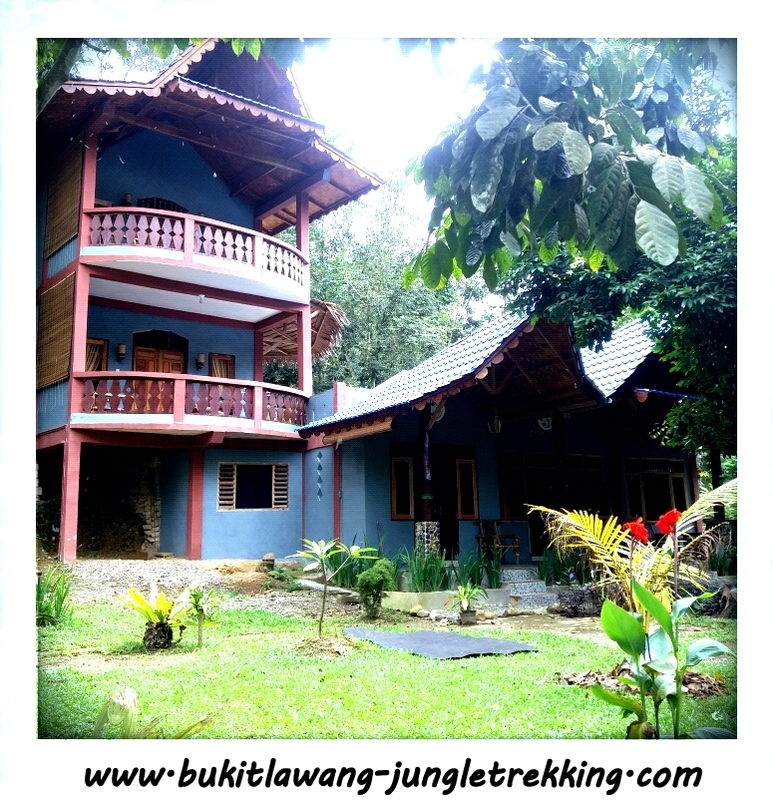 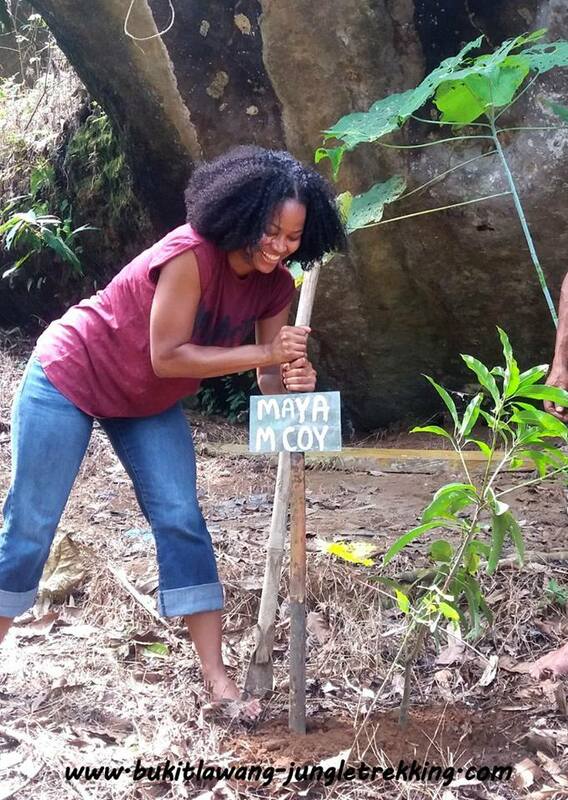 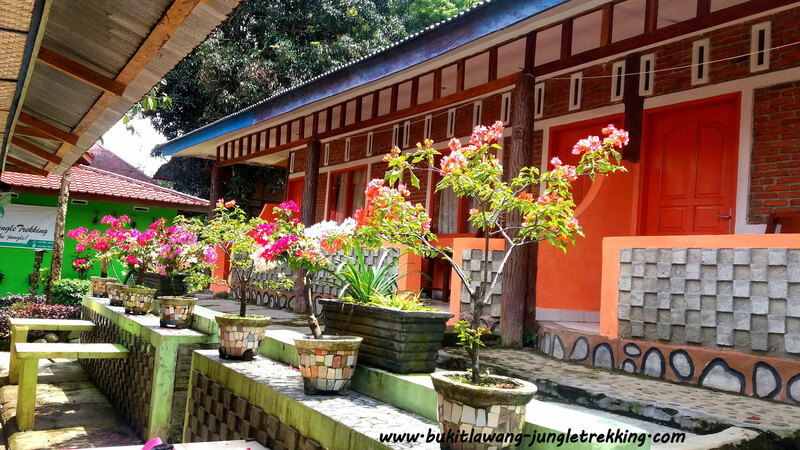 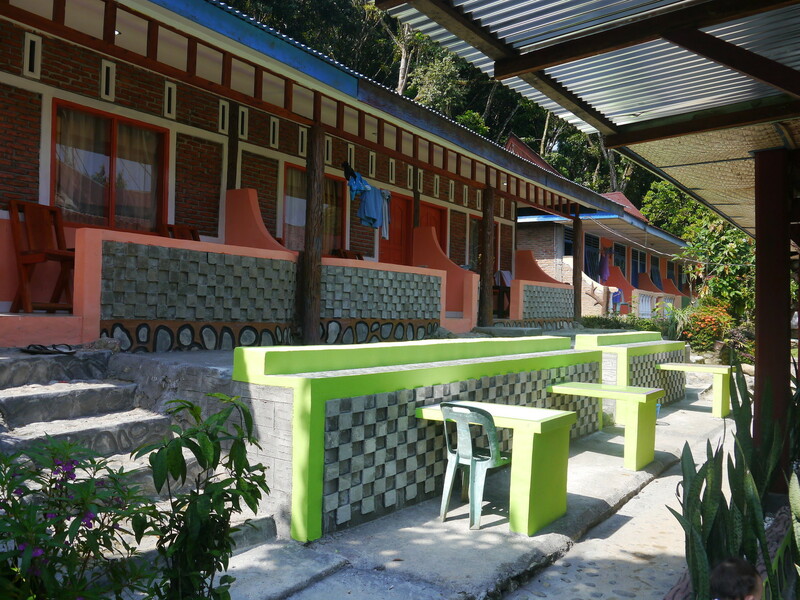 Its located about 10 kilometres away from the main tourist area of Bukit Lawang ( around 30 minutes by motorbike and 1,5 hours walking distance),in the middle of the nature which makes it to a perfect place to stay and relax. 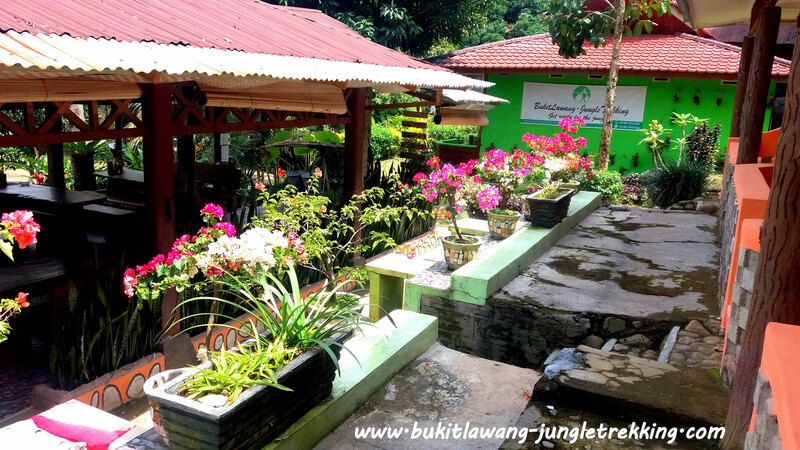 In the morning,you will be woken up by birds singing and monkeys shouting,and if you are very lucky,you can even spot orangutans or siamangs whilst having breakfast at Batu Kapal Guesthouses restaurant....an unfortgettable memory! 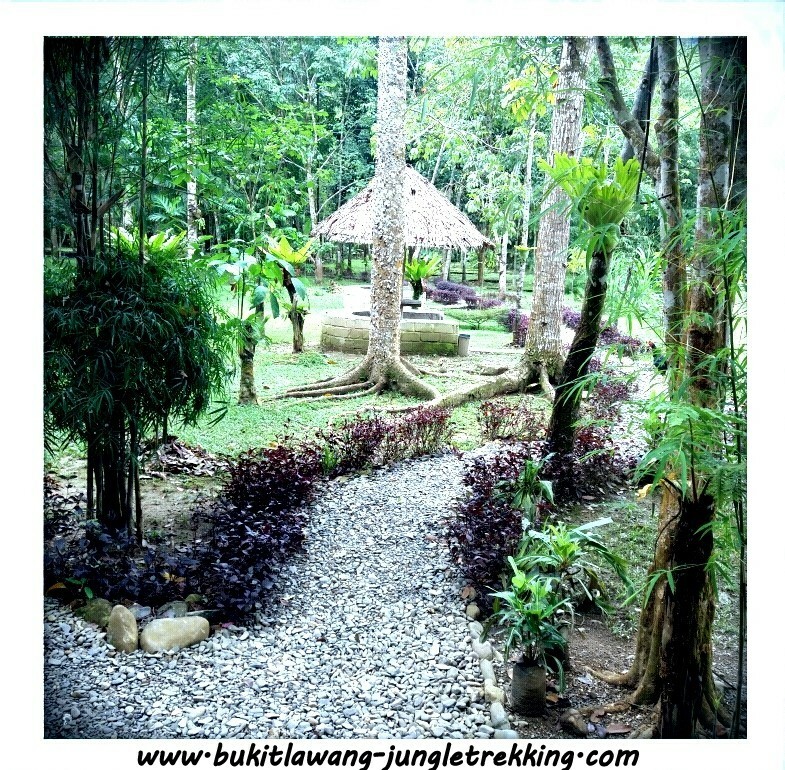 If you love to be surrounded by nature, silence and peace...this place won´t disappoint you. 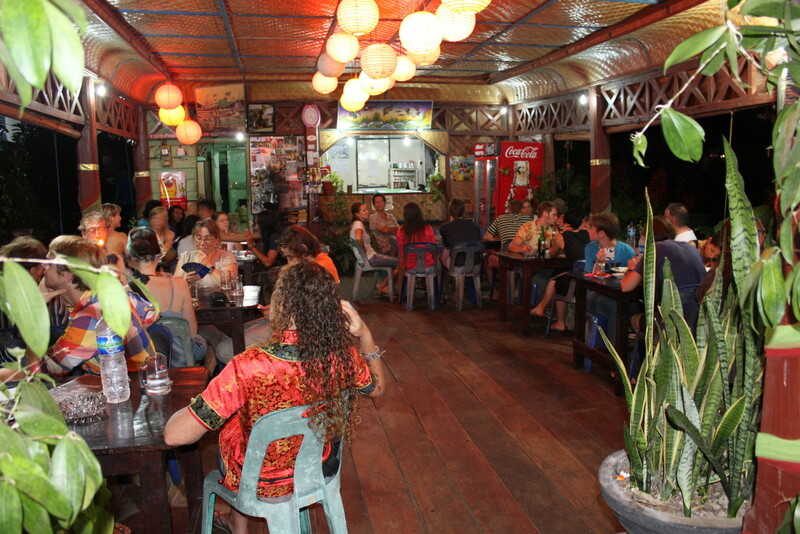 You won´t meet lots of other people there. 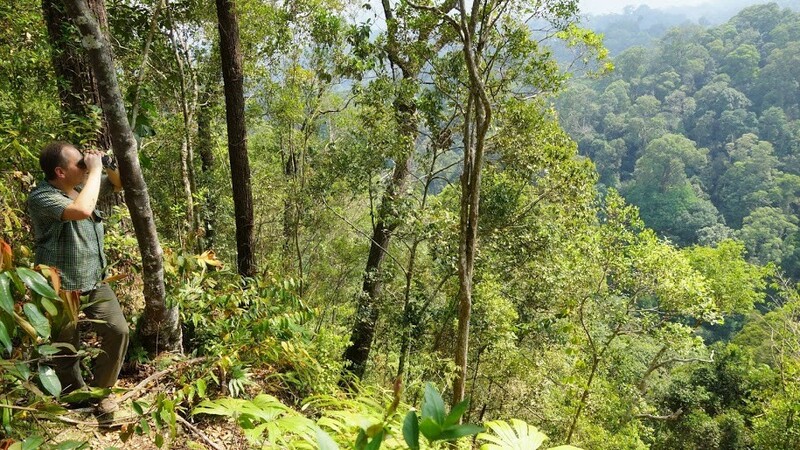 And the views and scenery is just very impressive. 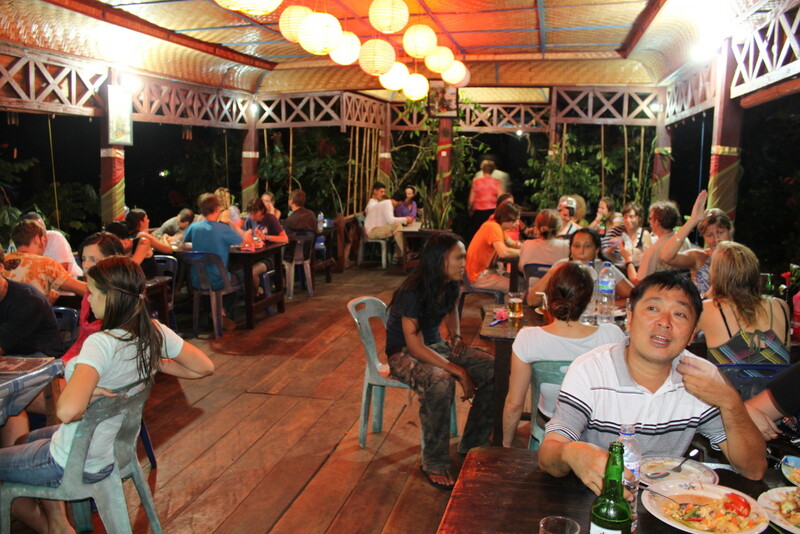 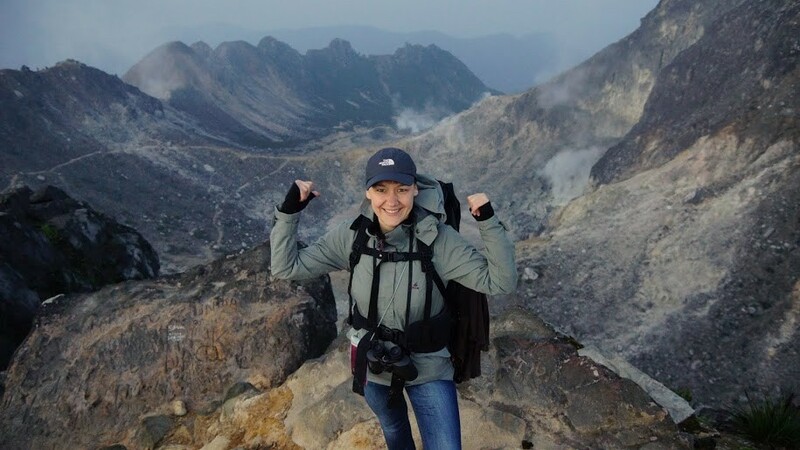 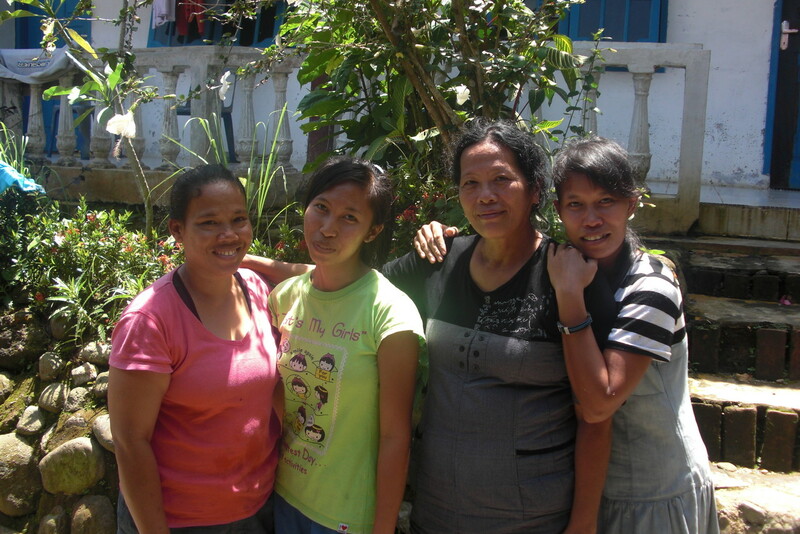 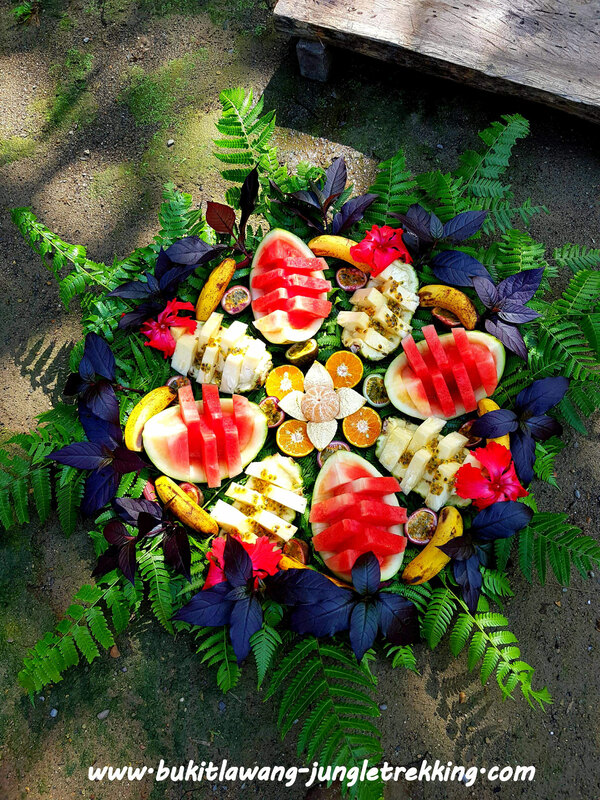 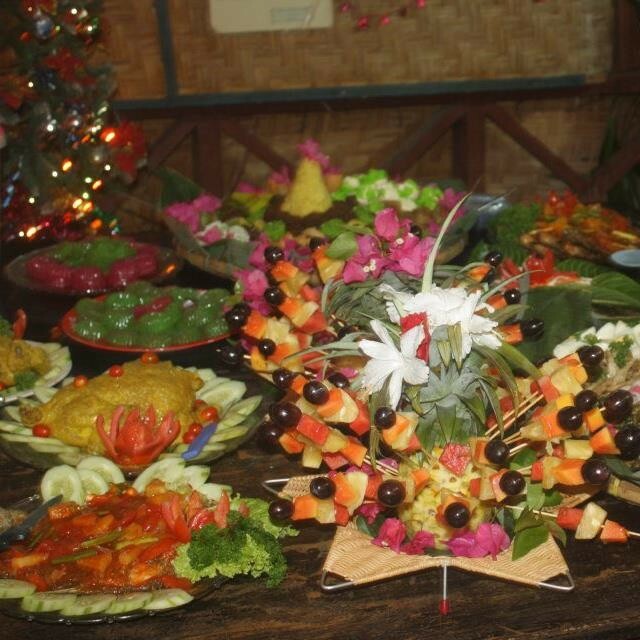 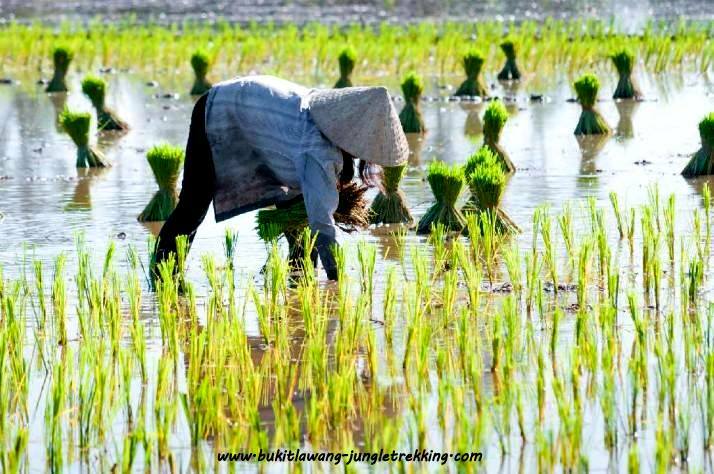 The guesthouse offers also traditional barbecues,cooking courses and batik workshops. 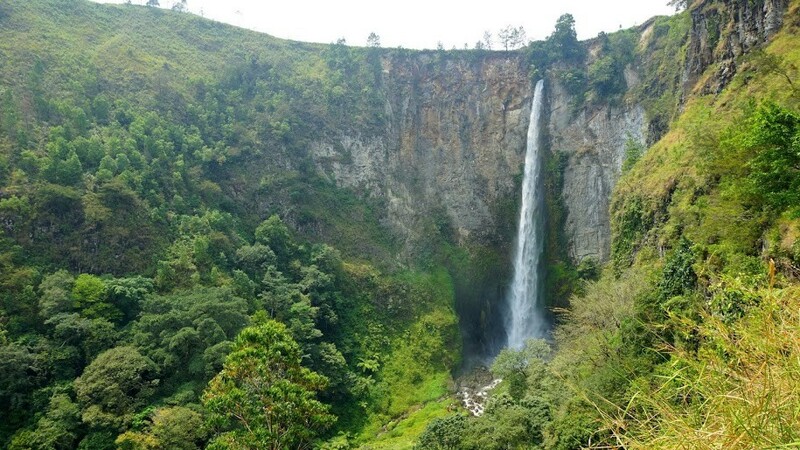 There is also the opportunity to visit some Caves and see some stunning tree and geological formations. 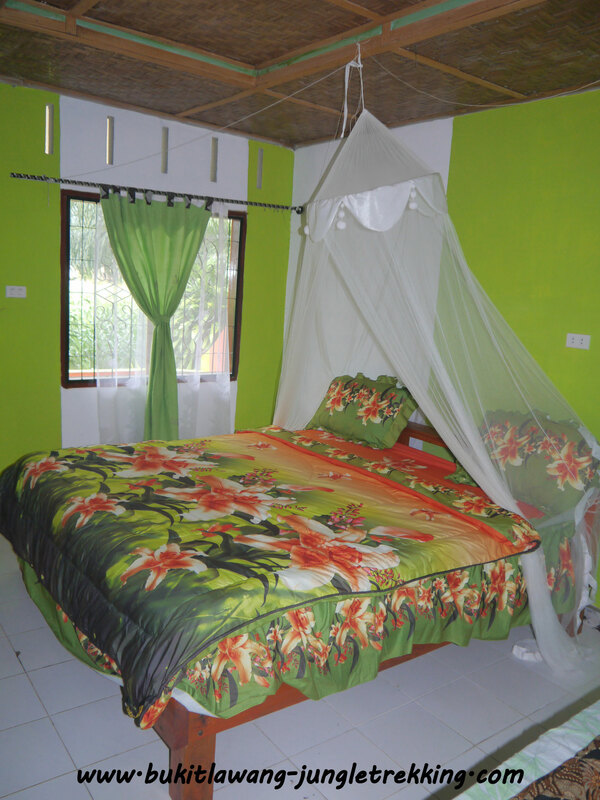 There are lots of other hotels and guesthouses which can be found on booking.com. 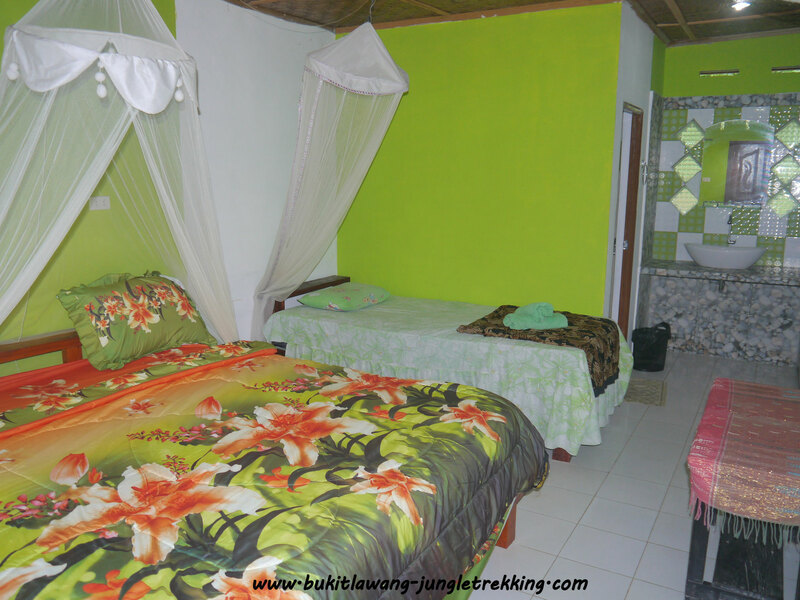 Most of the rooms and guesthouses in Bukit Lawang are situated close to the Bohorok River and you have a great view from your balcony over the river and the surrounding jungle. 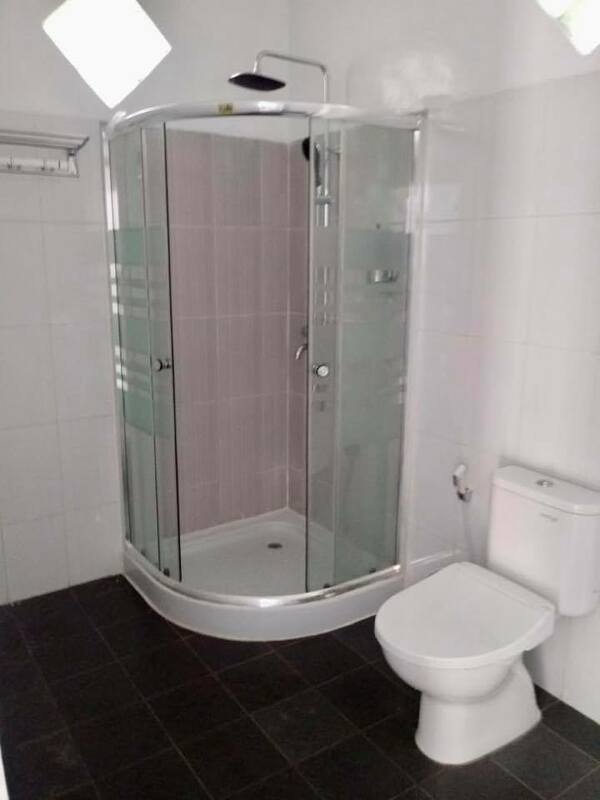 The price range and room standard is very variable. 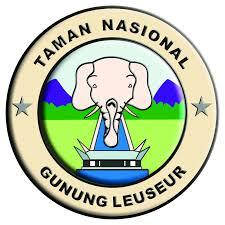 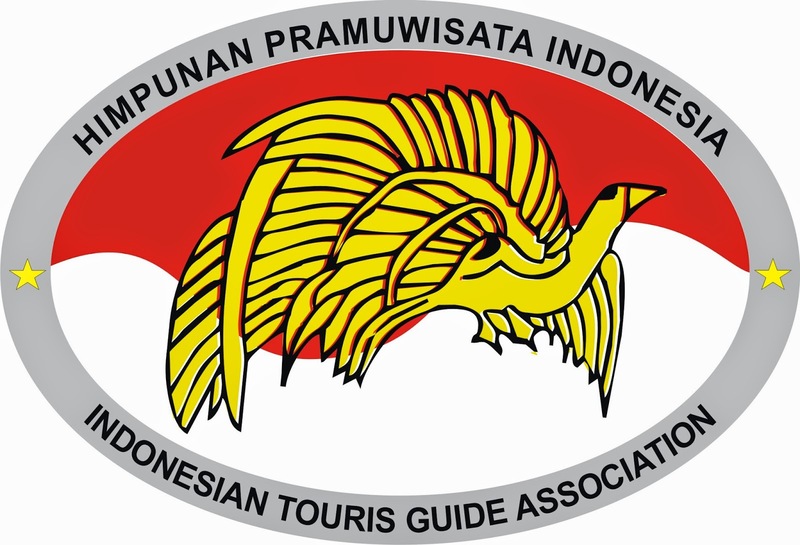 From 50.000,-pr up to 600.000,-rp,depends on the location,size,room level and facilities. 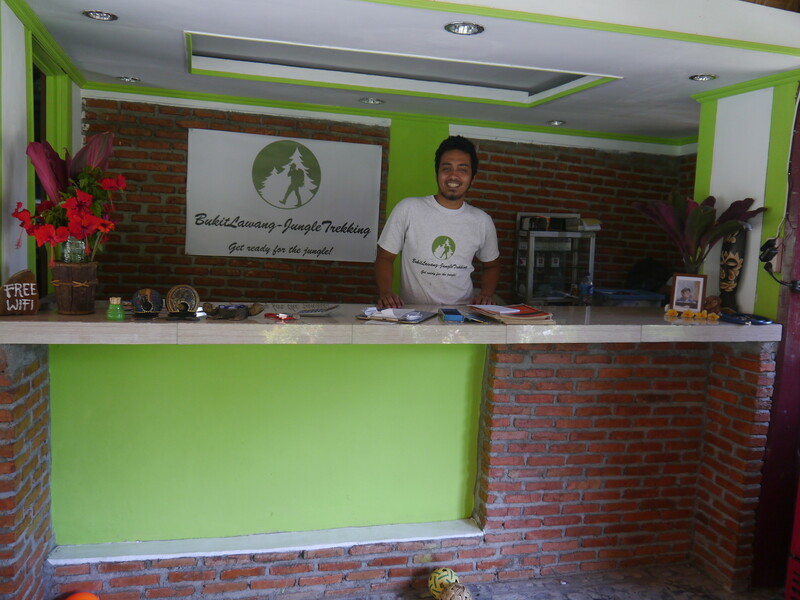 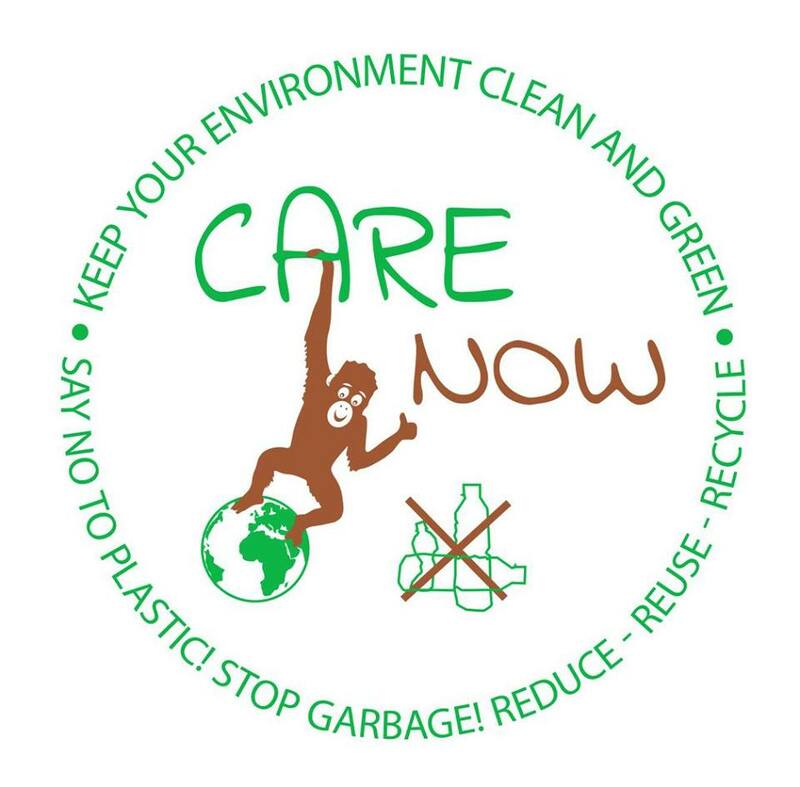 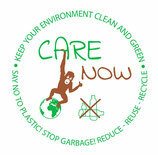 Please let us know what you wish with contacting us and we are looking forward to arrange everything for you!